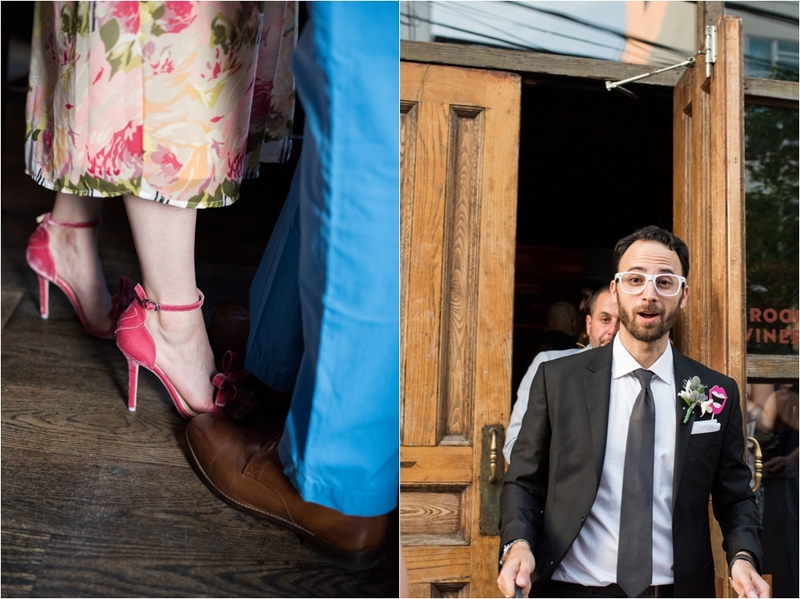 I think this Brooklyn wedding may be one of my favorites of 2017. 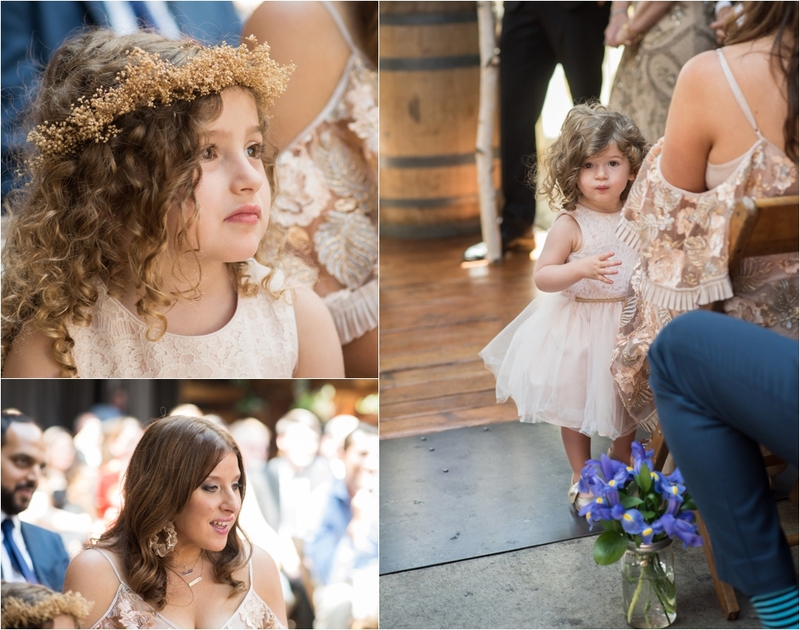 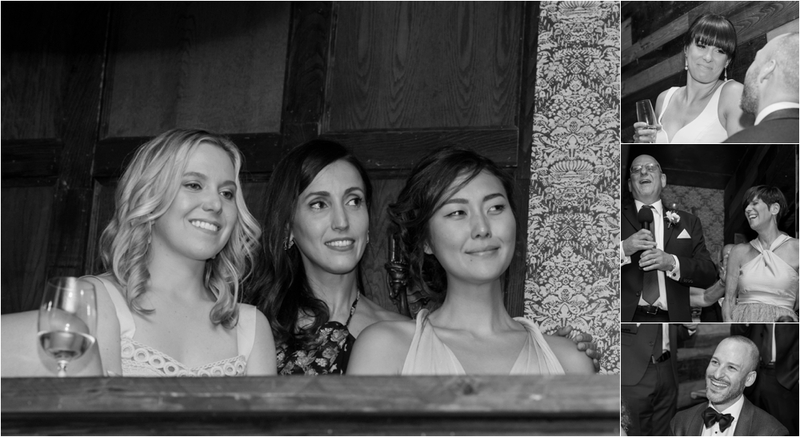 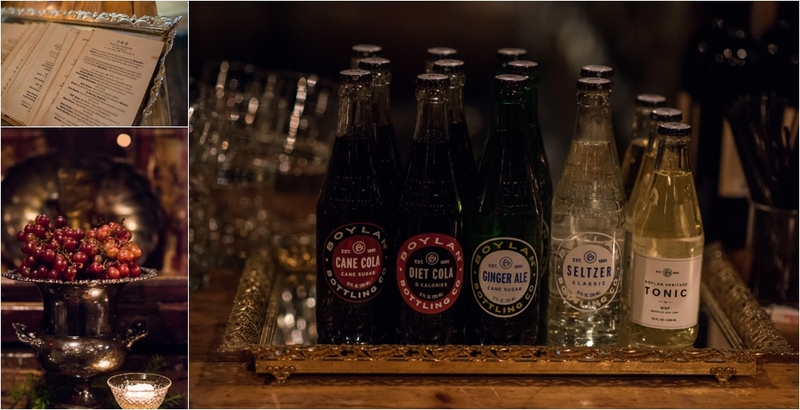 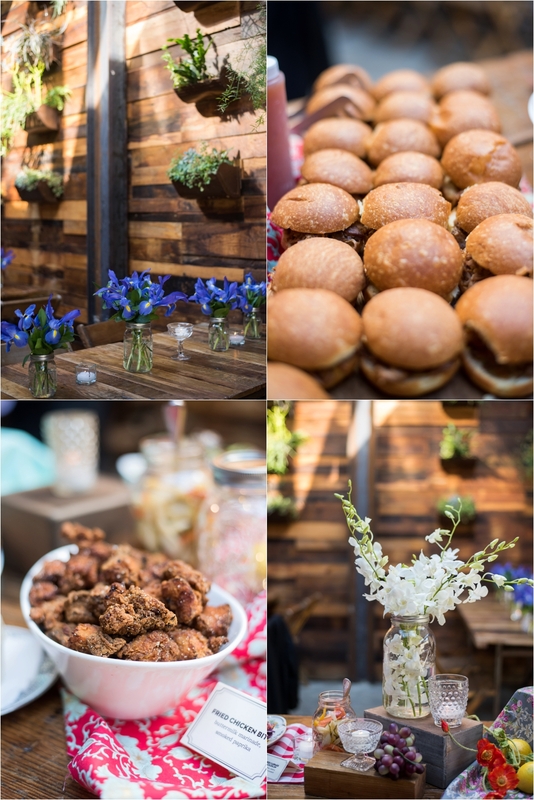 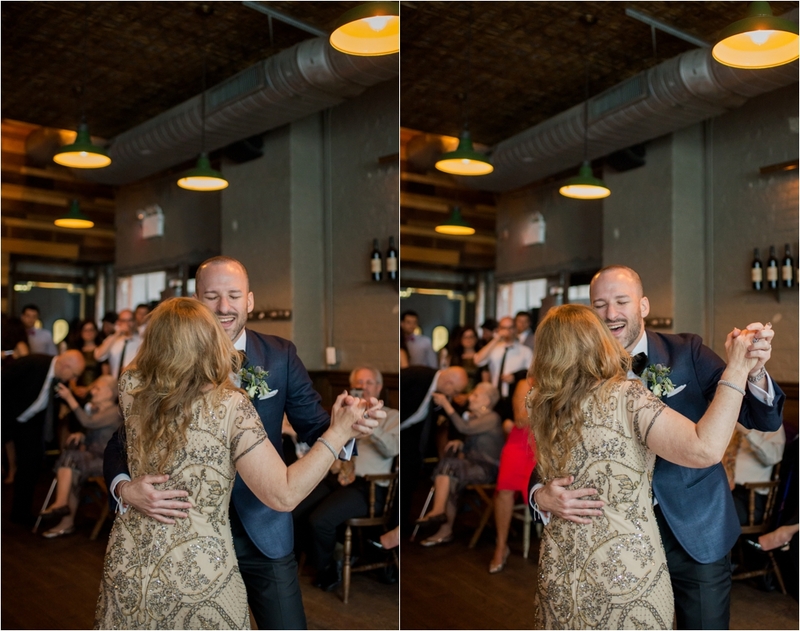 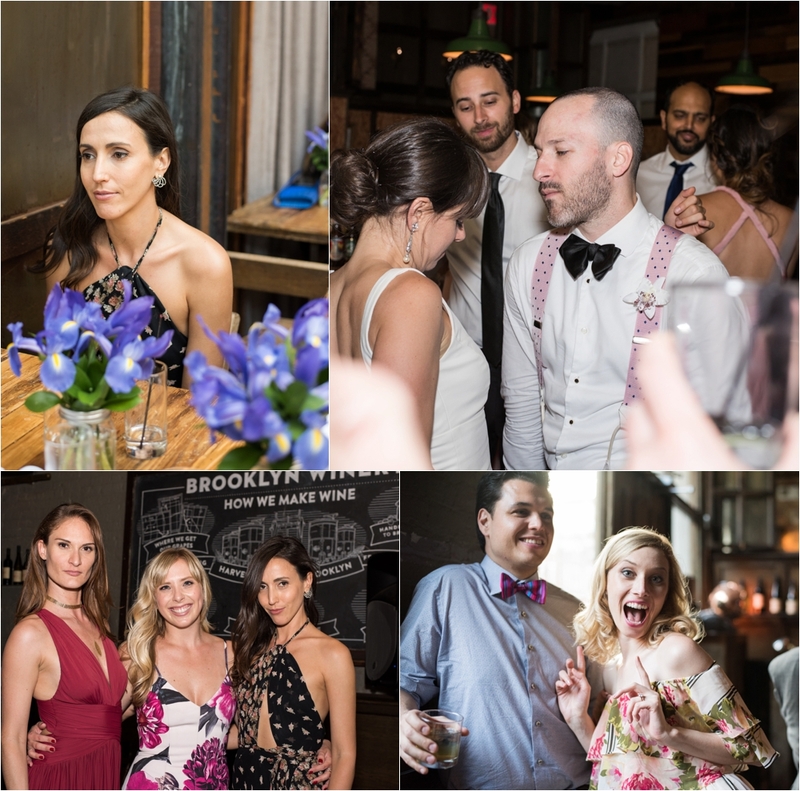 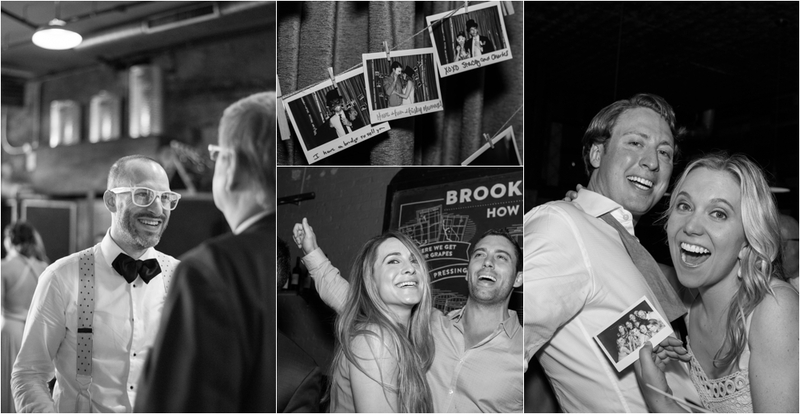 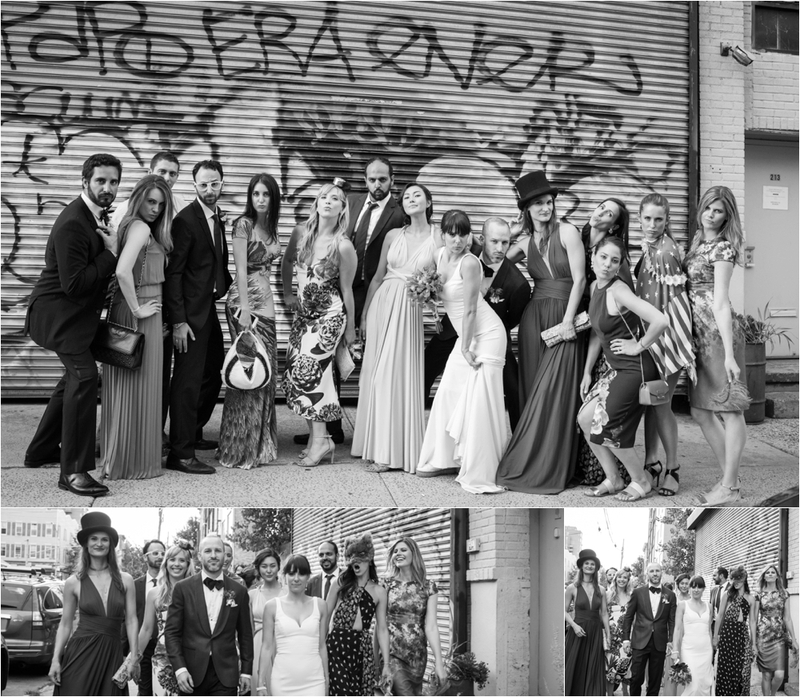 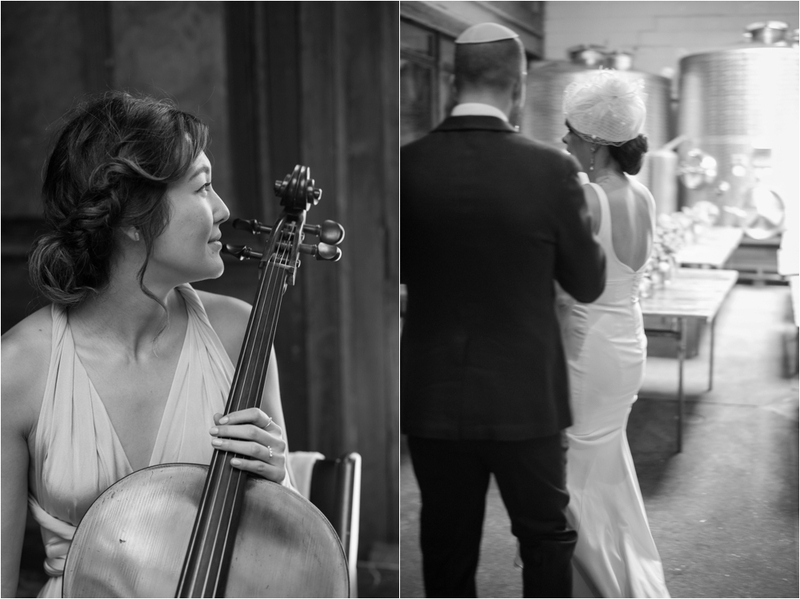 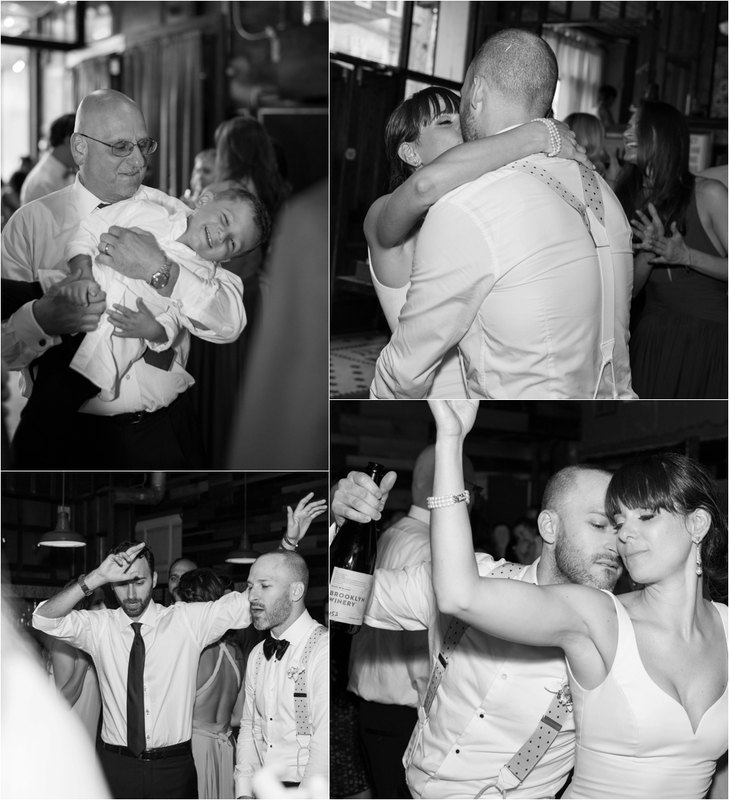 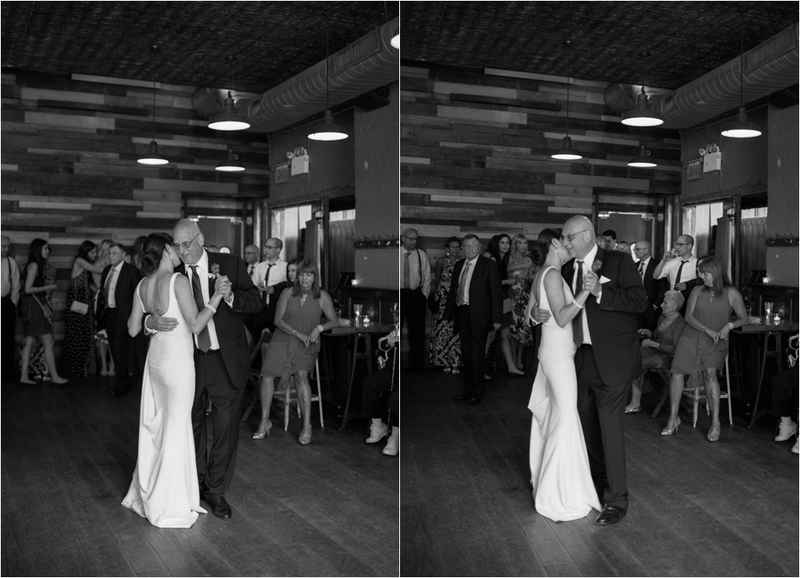 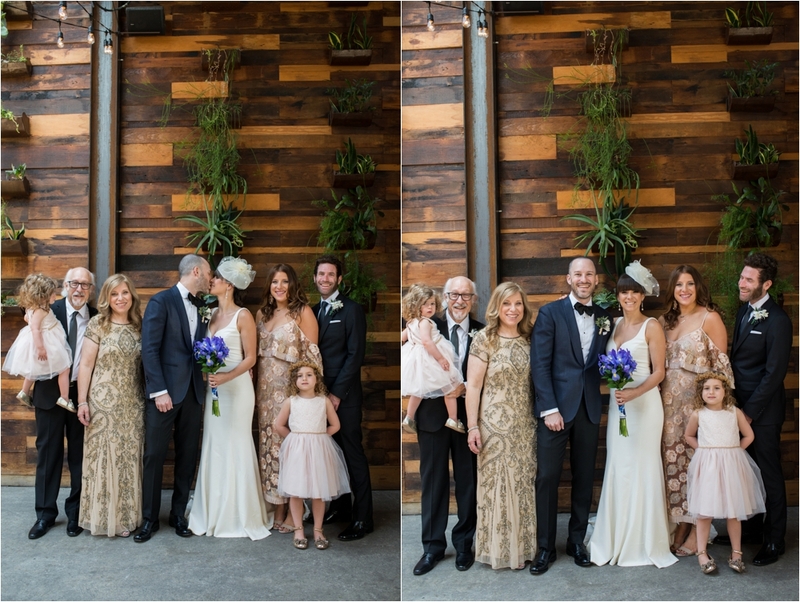 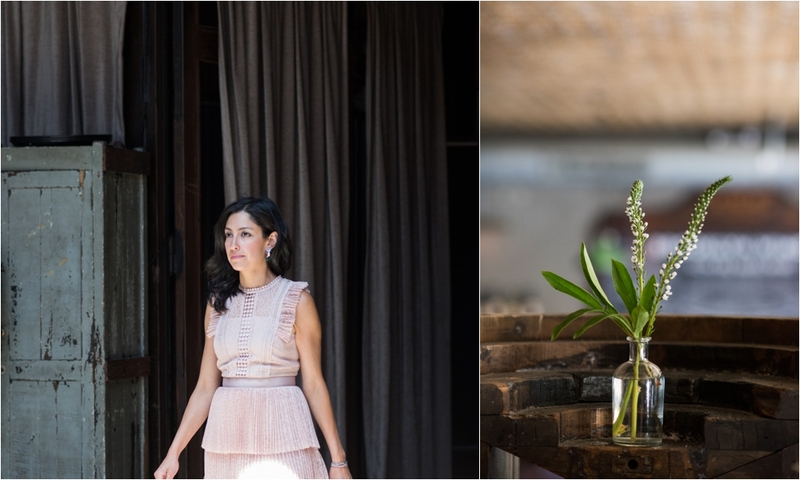 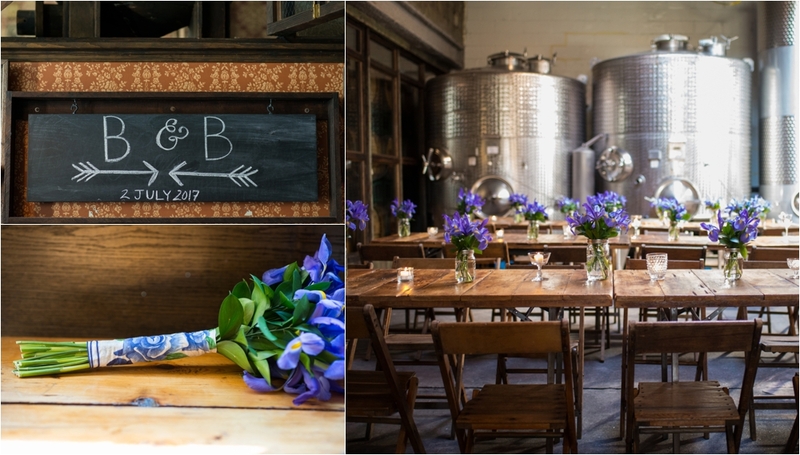 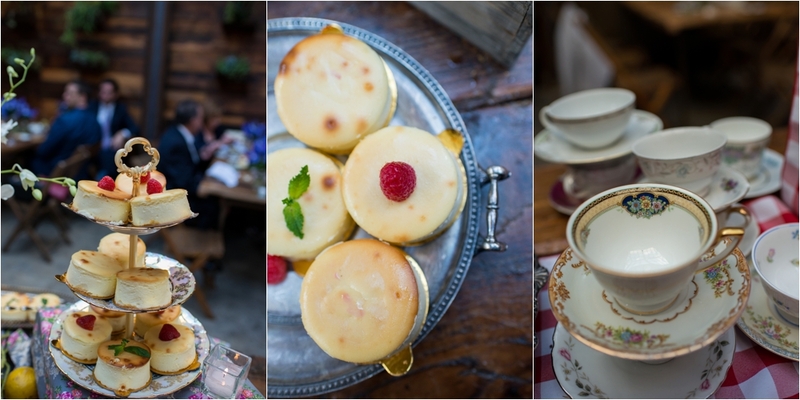 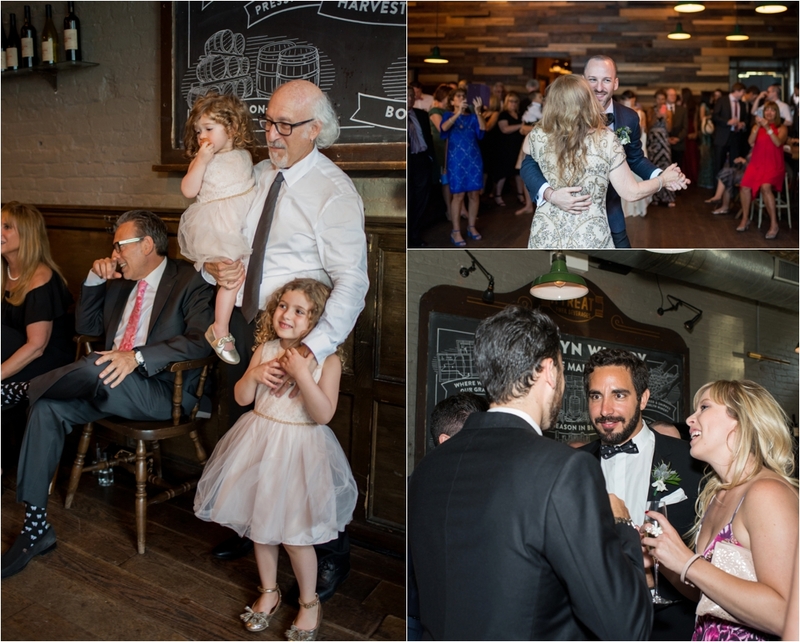 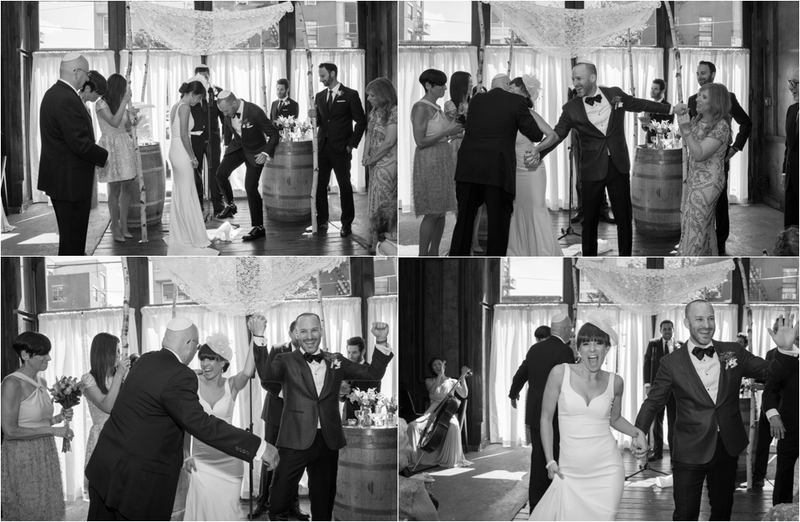 I admit I do say that a lot… However, having a Brooklyn Winery wedding will not disappoint. 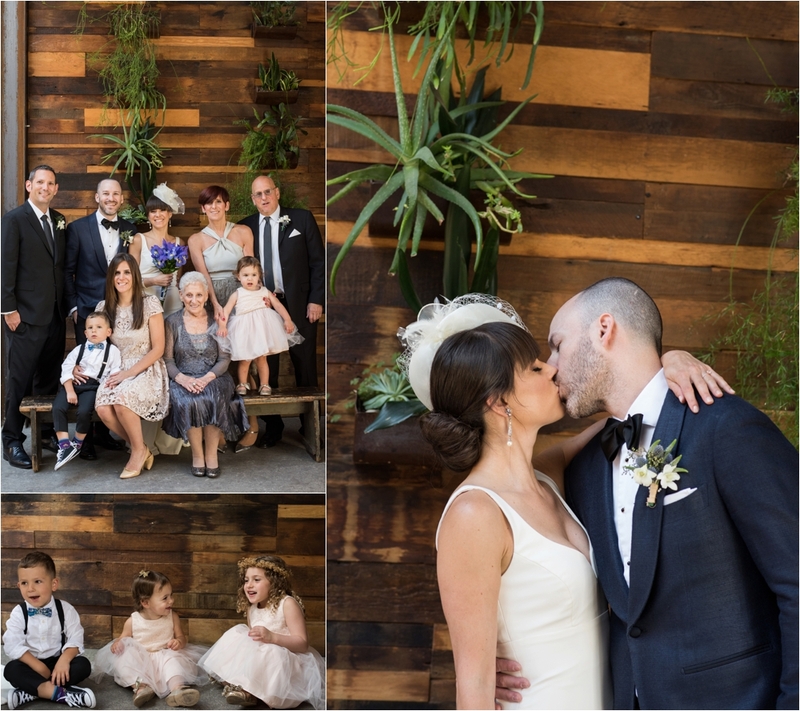 The light in the ceremony room is to die for, the brick walls are so classic New York, and the hanging succulents break up the brick and give it a warm and cozy feel. 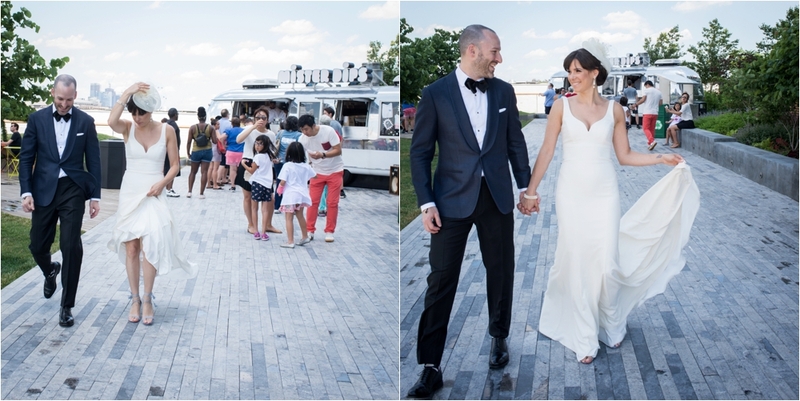 It was the perfect spot for my vintage style bride and groom who, by the way, wrote their own vows, had a friend officiate, had cheesecake and cannolis in lieu of cake, served lemonade and fried chicken (!) 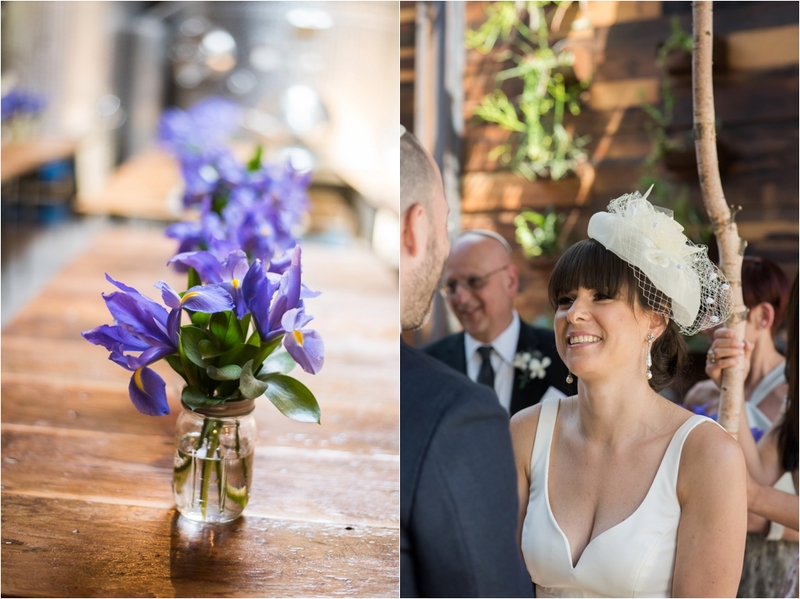 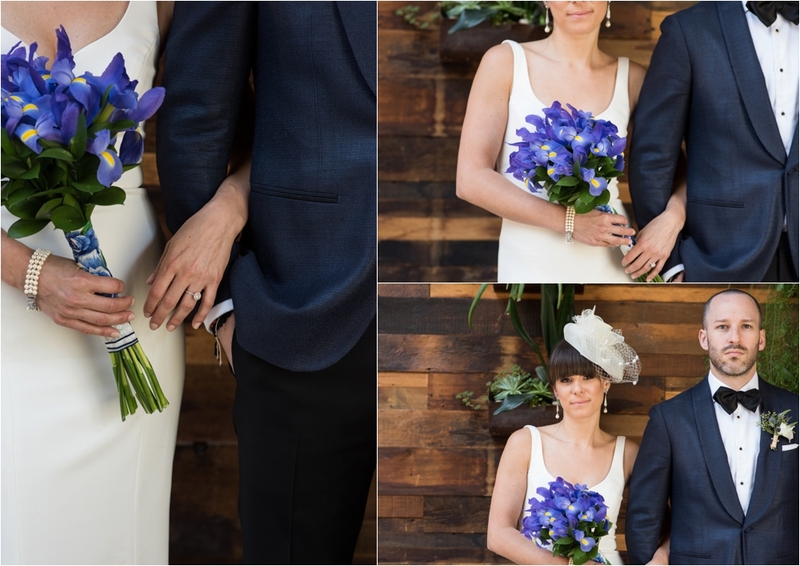 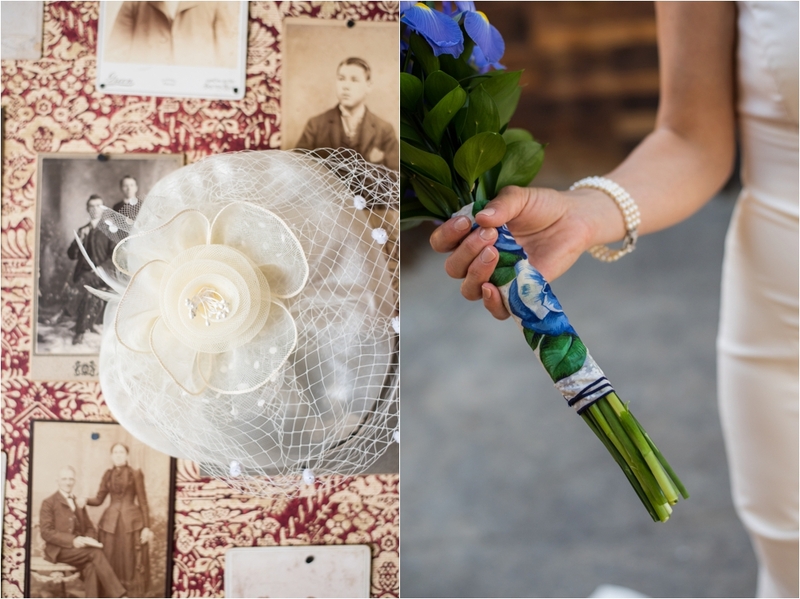 on the prettiest vintage china, wrapped a purple iris in the bride’s grandfather’s handkerchief as her bouquet, and skipped the bridal party. 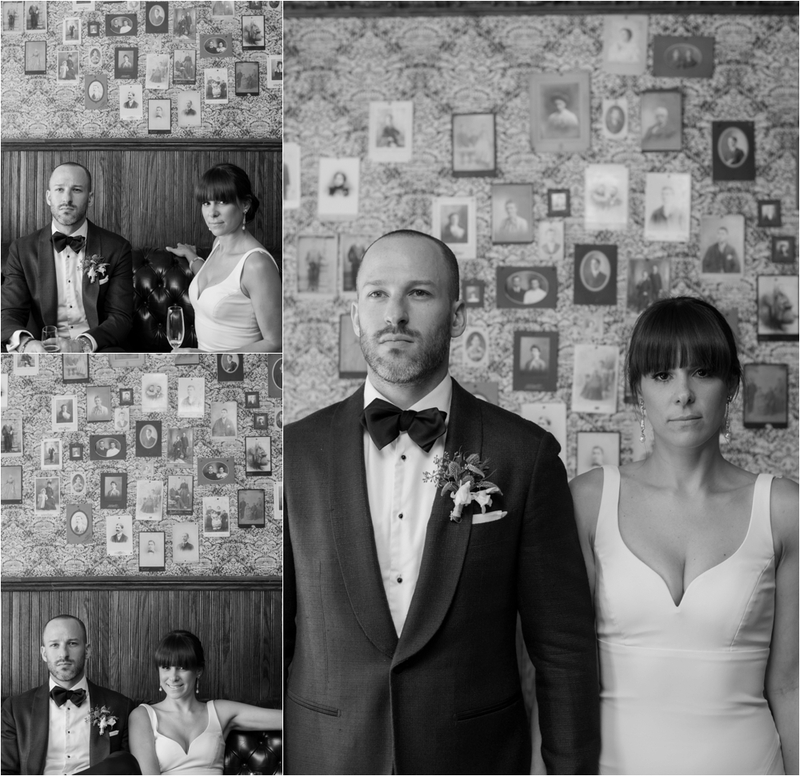 And check out that little nook with old photos and faded wallpaper where they waited after the ceremony. 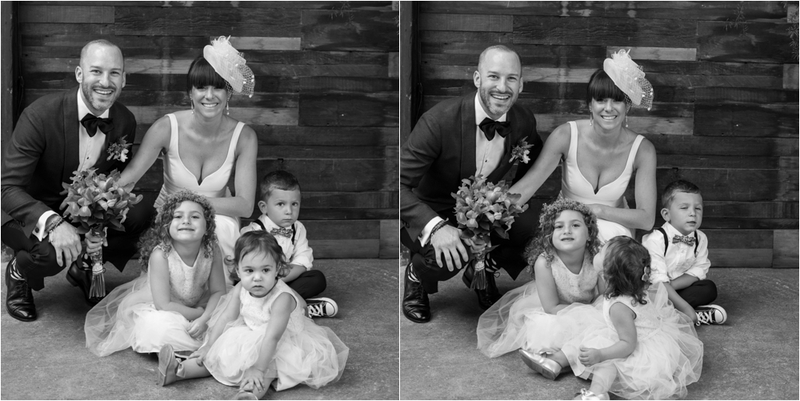 And if you love vineyards and all things wine, check out this other vineyard wedding on my blog. 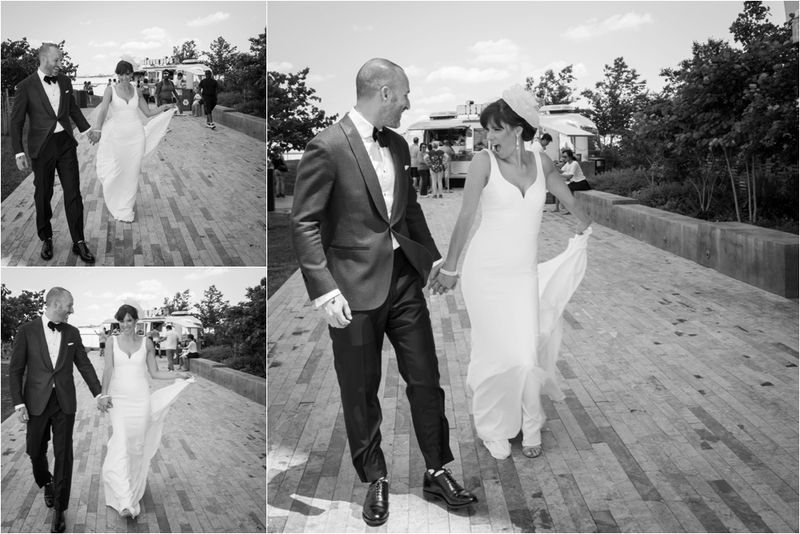 Brooke and Brett met on the dance floor in Fire Island in the summer of 2015. 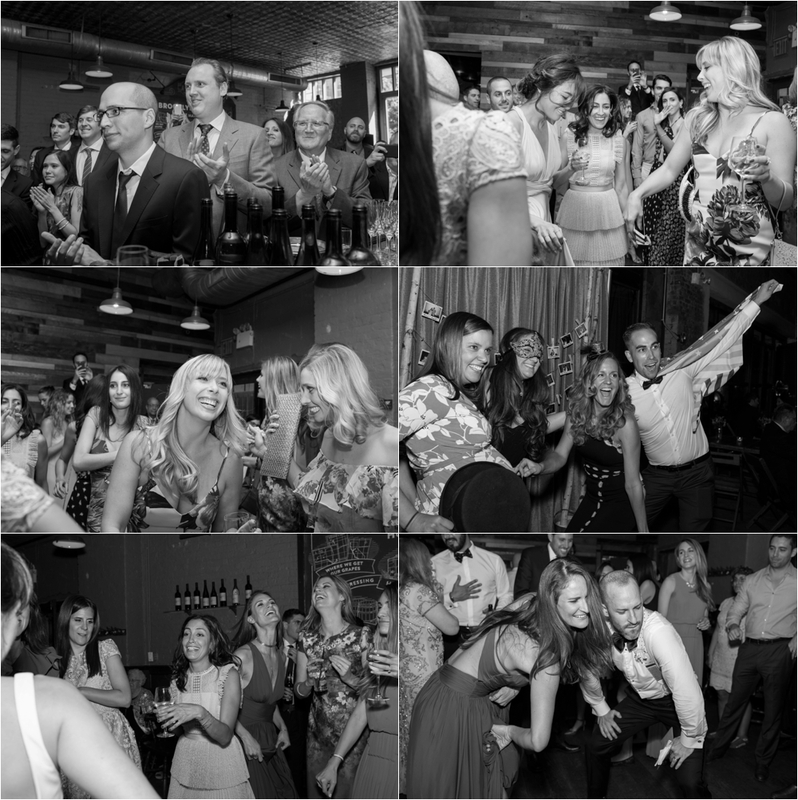 Brett spotted Brooke dancing in a circle of friends and was immediately drawn to her energy. 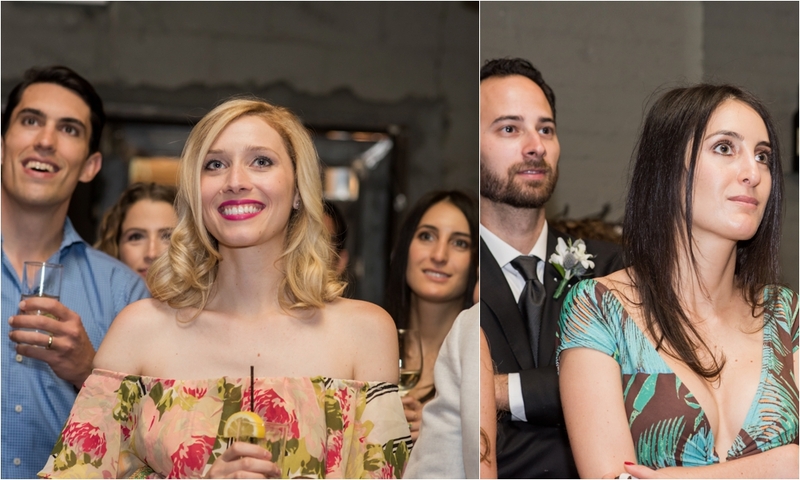 His next thought was, “How can I meet this girl?”. 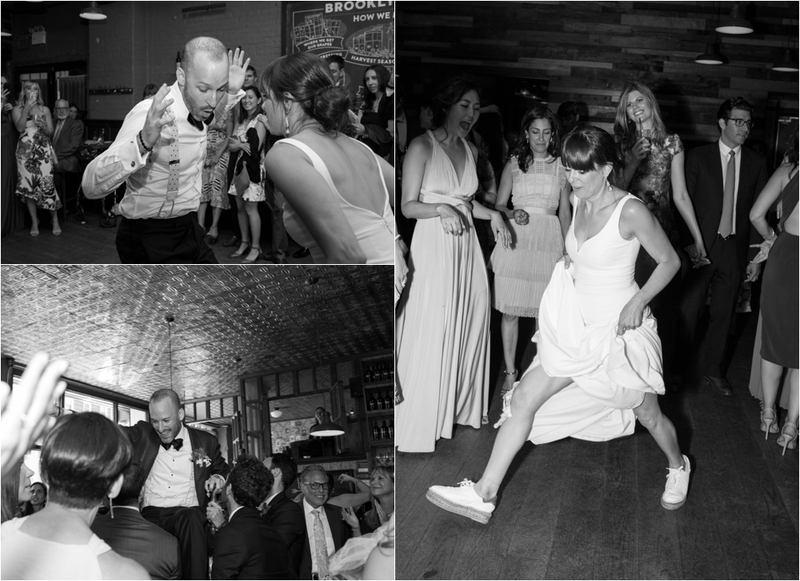 When the song “Footloose” came on, Brett used his best dance skills to win his way into her heart. 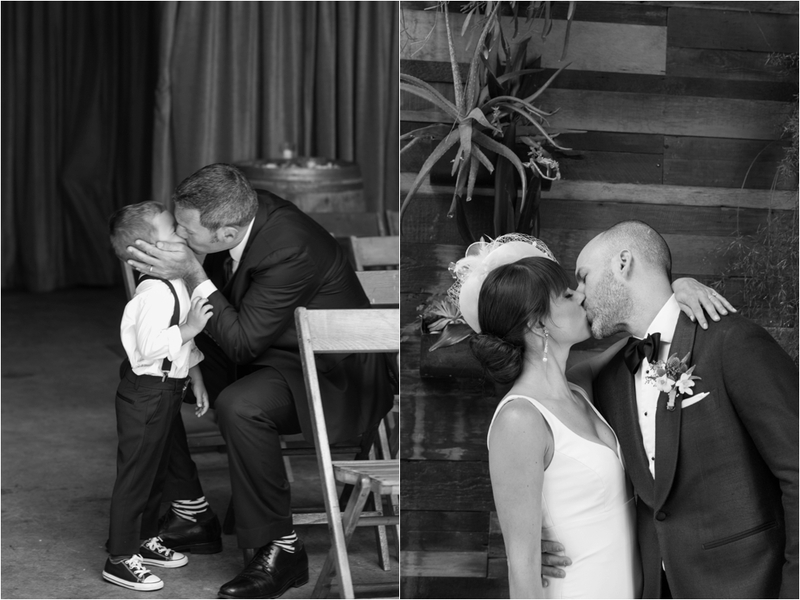 And these guys have some serious skills. 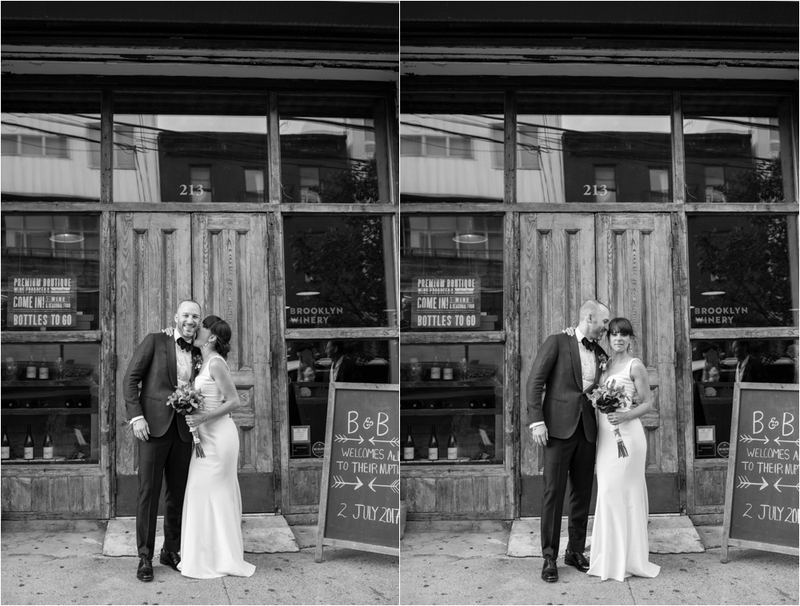 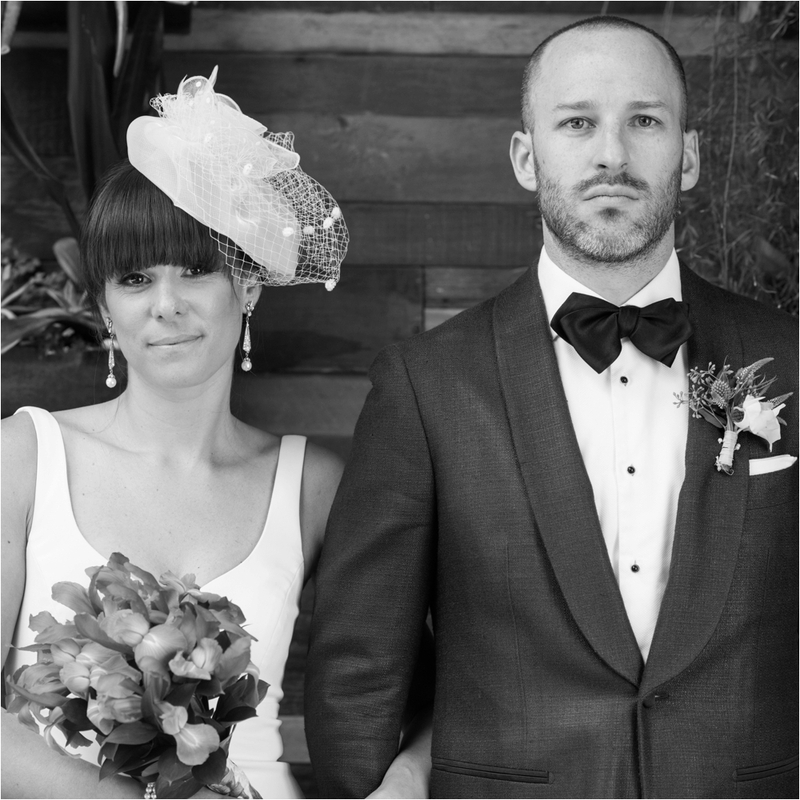 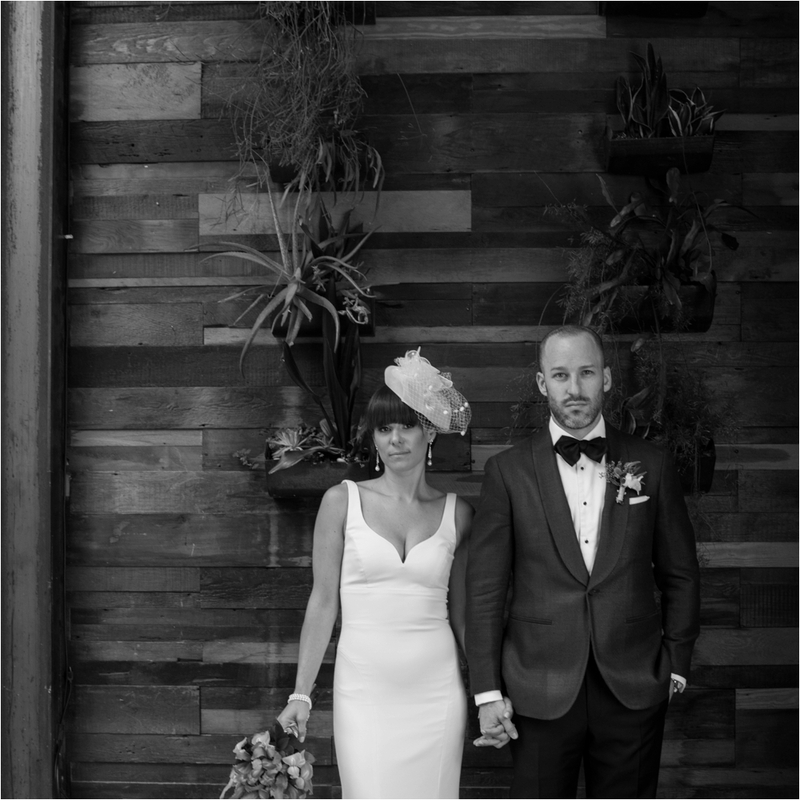 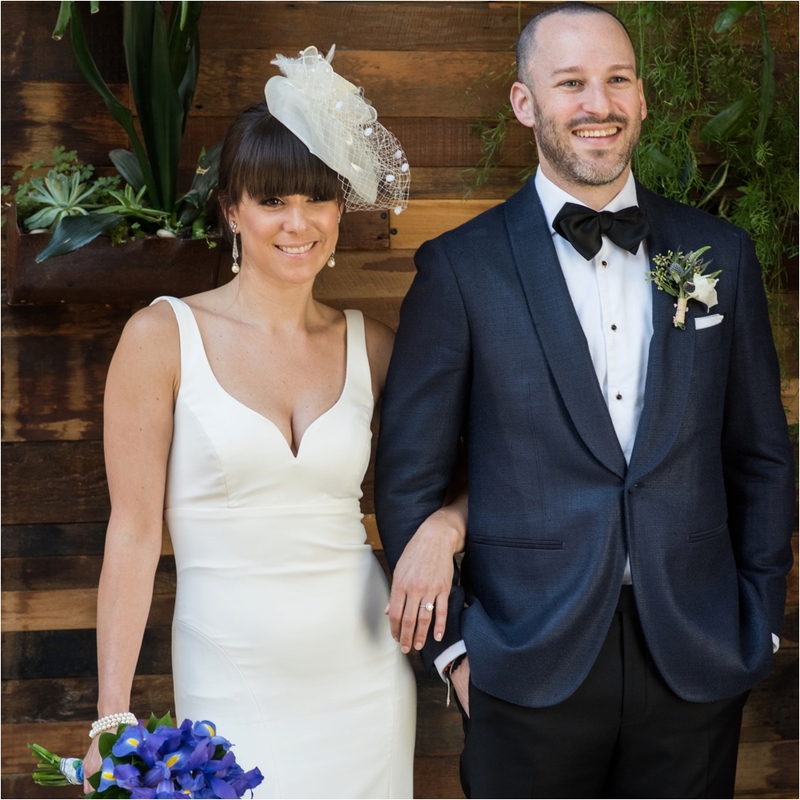 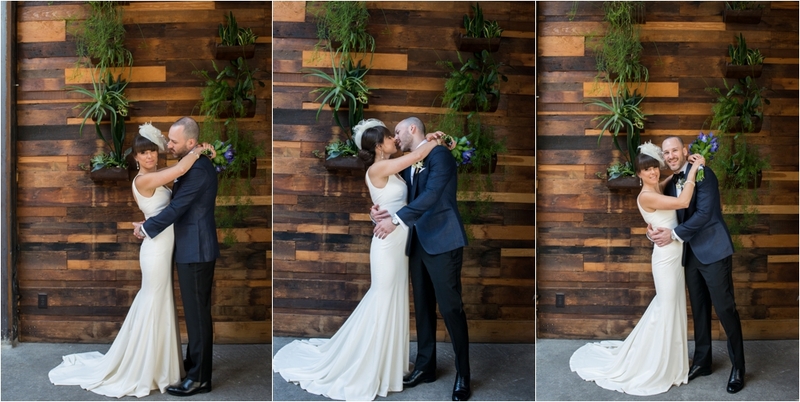 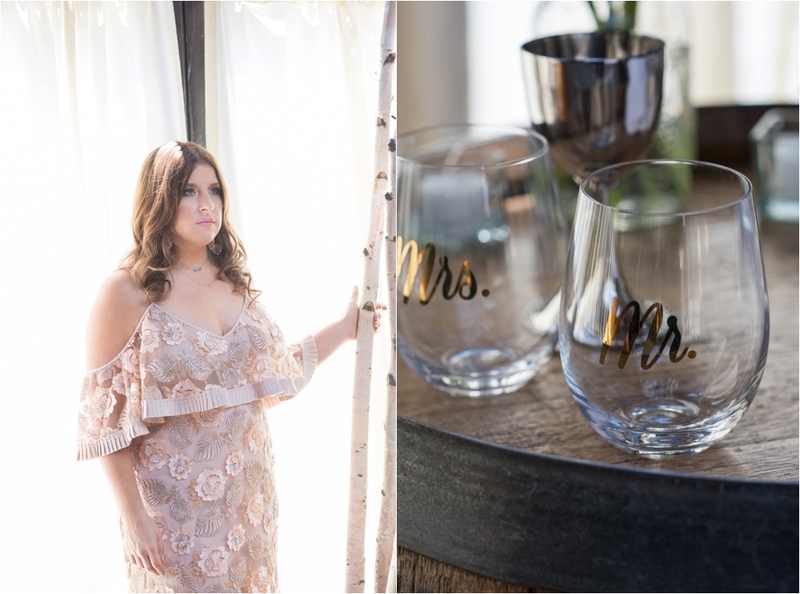 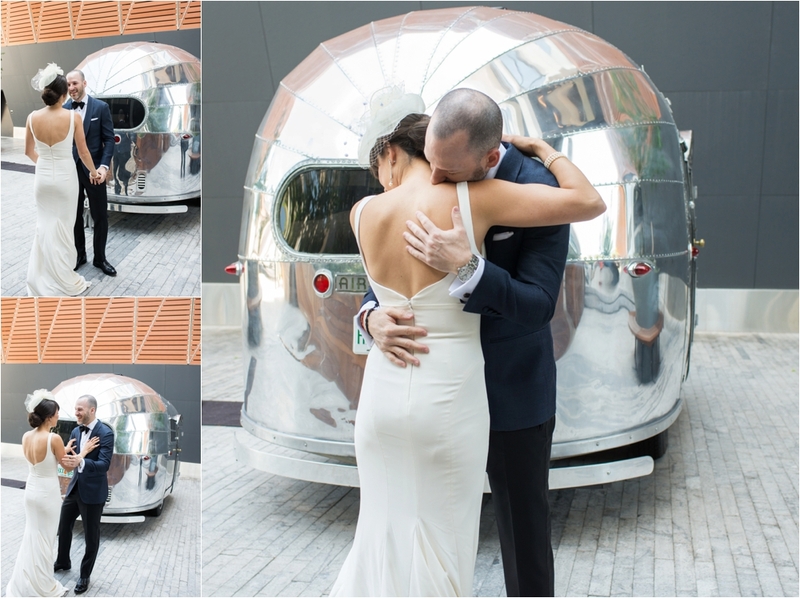 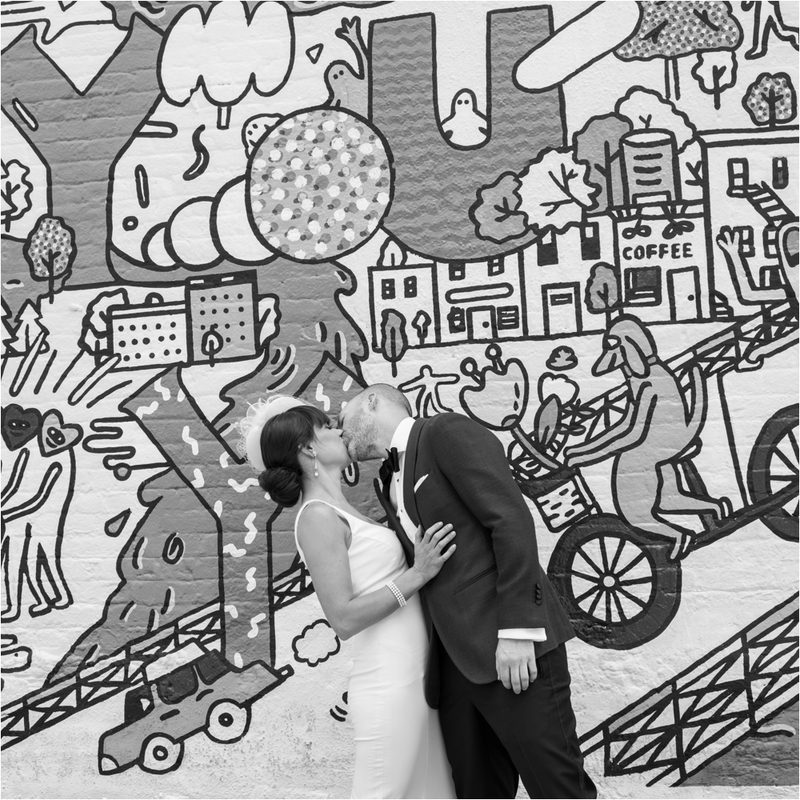 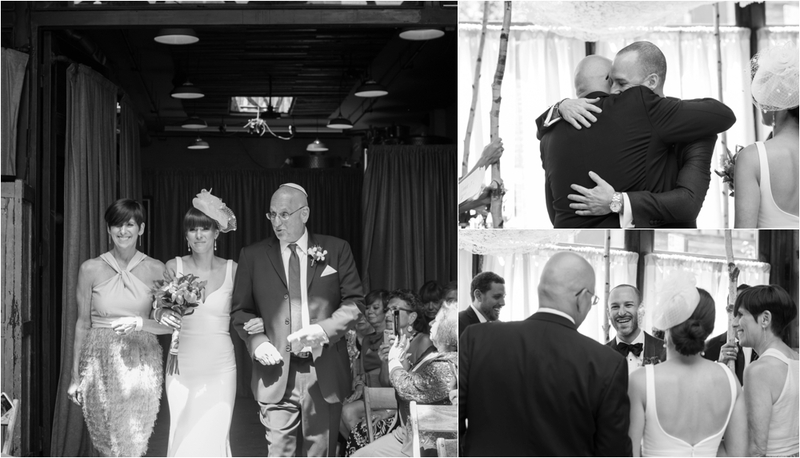 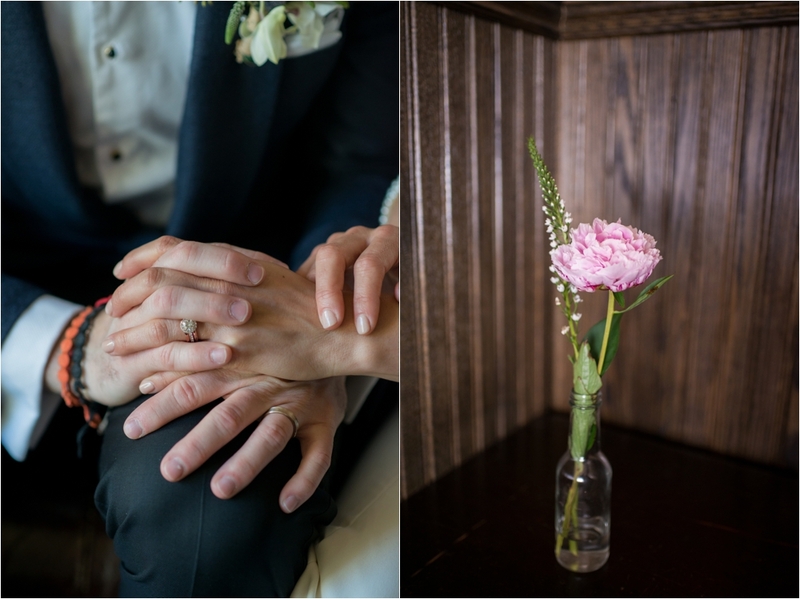 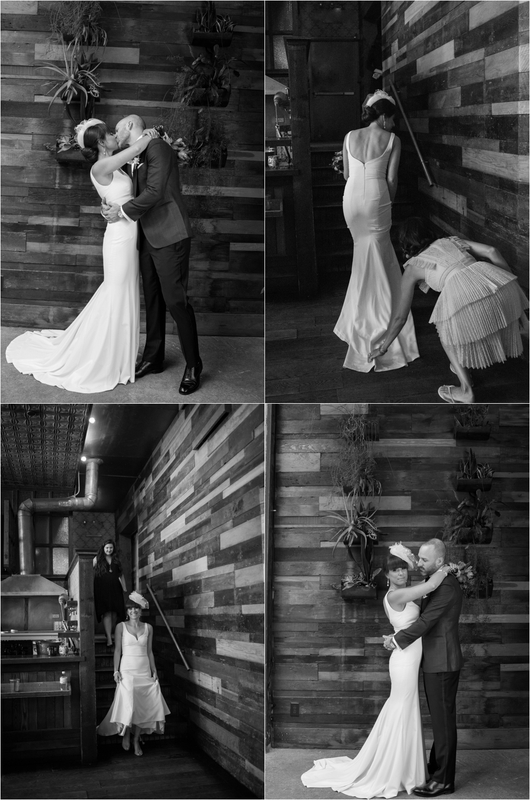 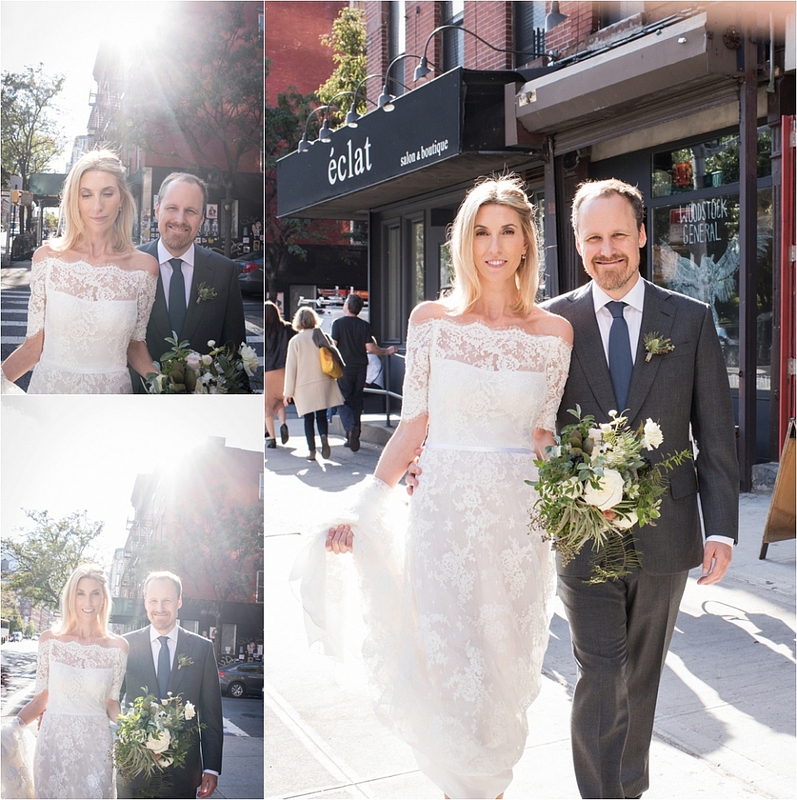 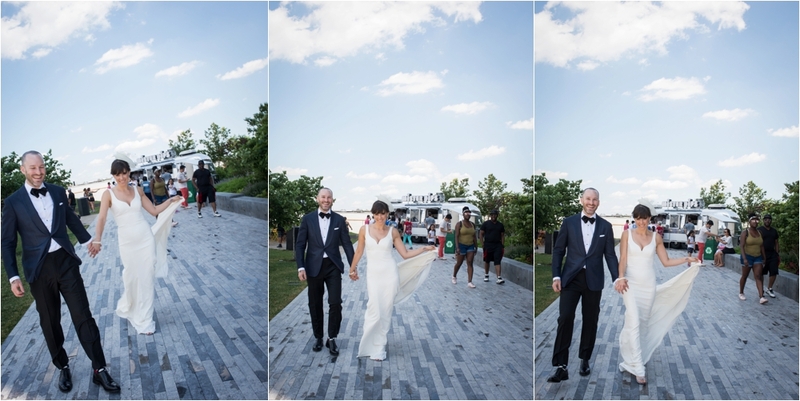 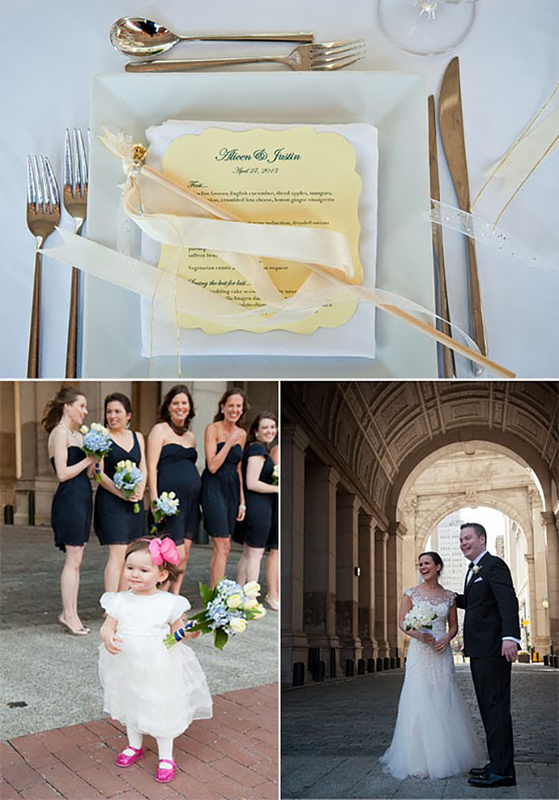 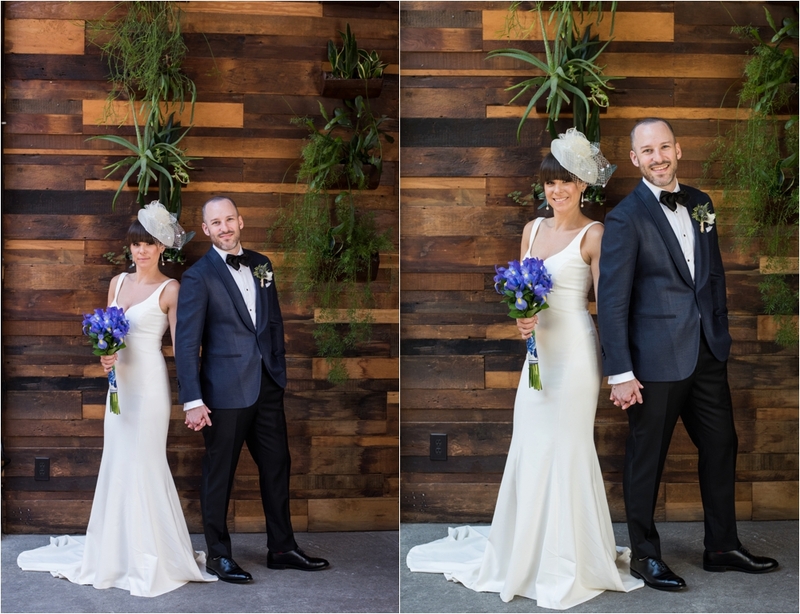 Four months later they married at BK Winery in Williamsburg, Brooklyn. 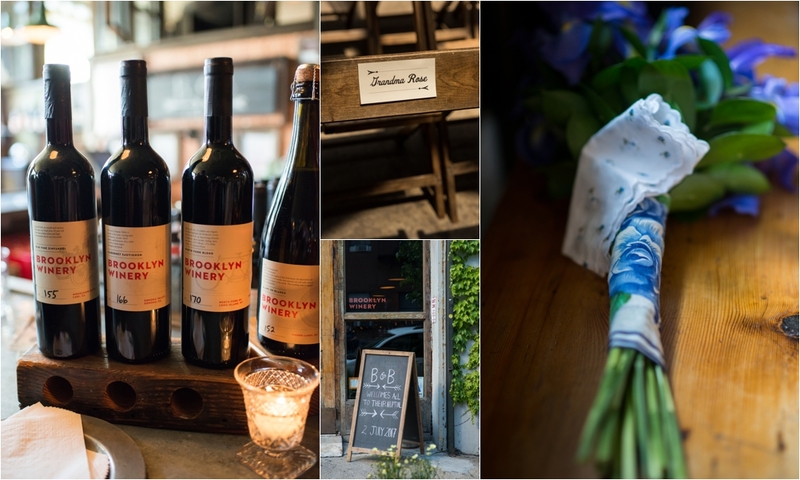 A perfect place for two wine lovers. 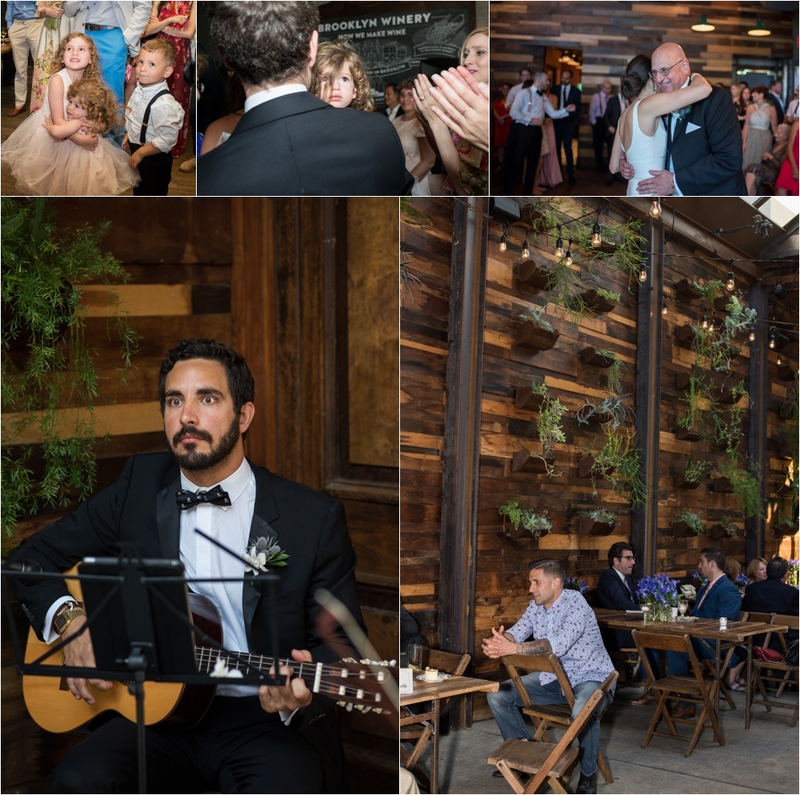 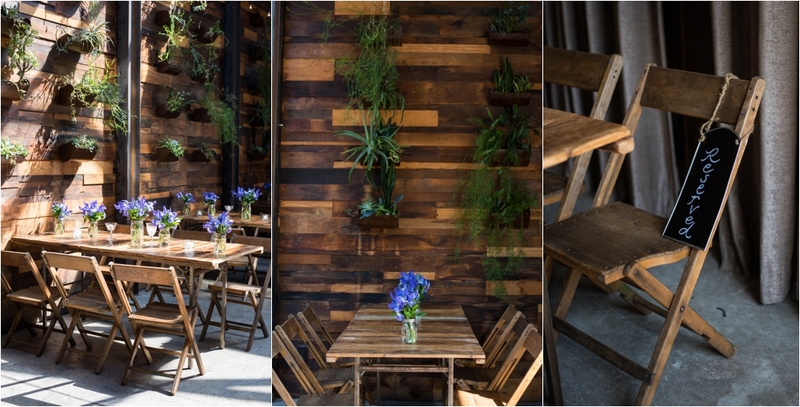 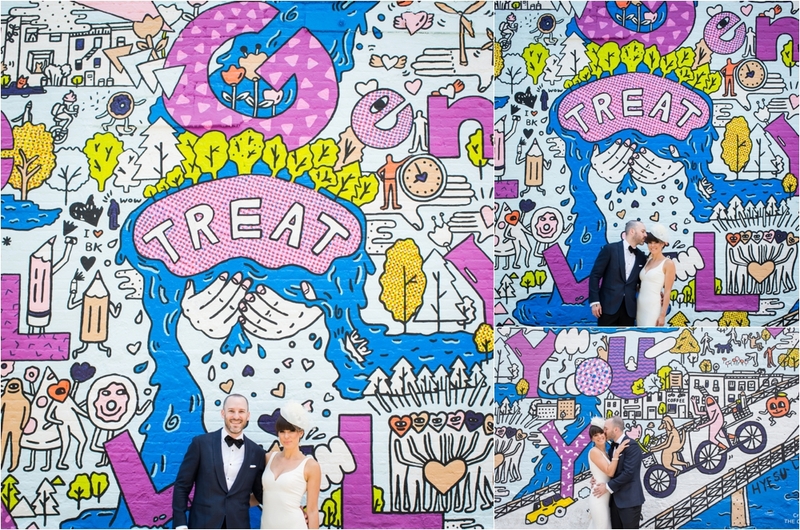 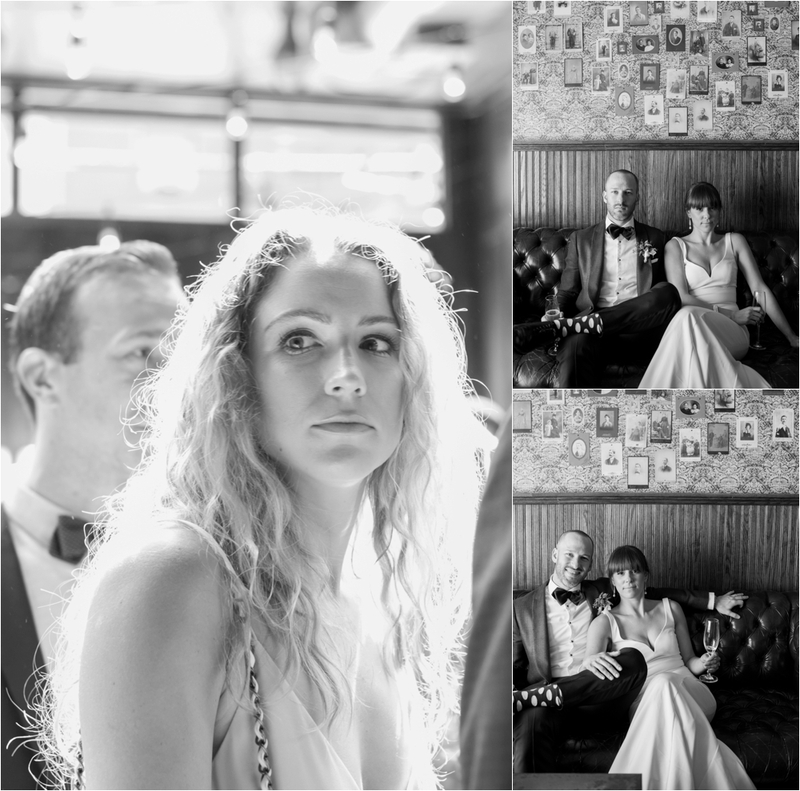 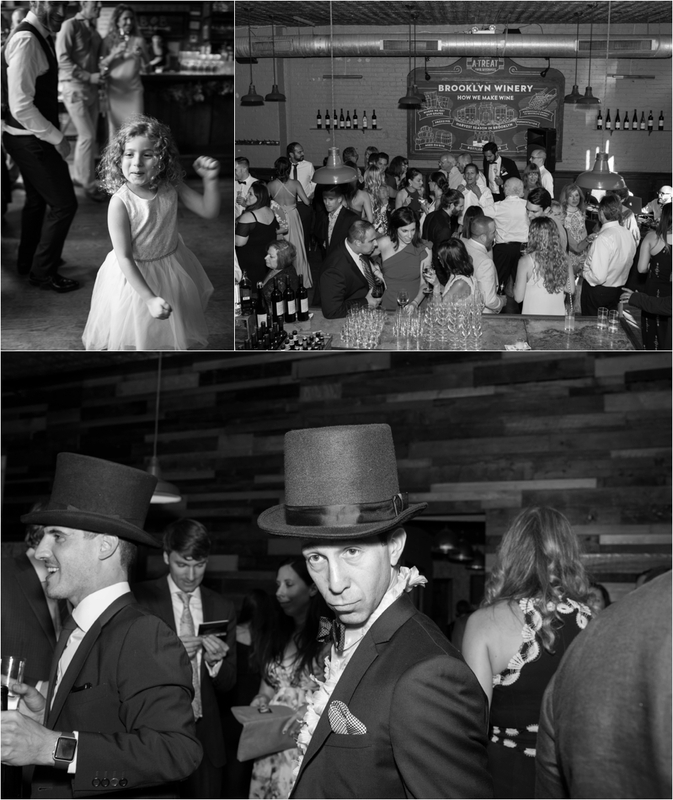 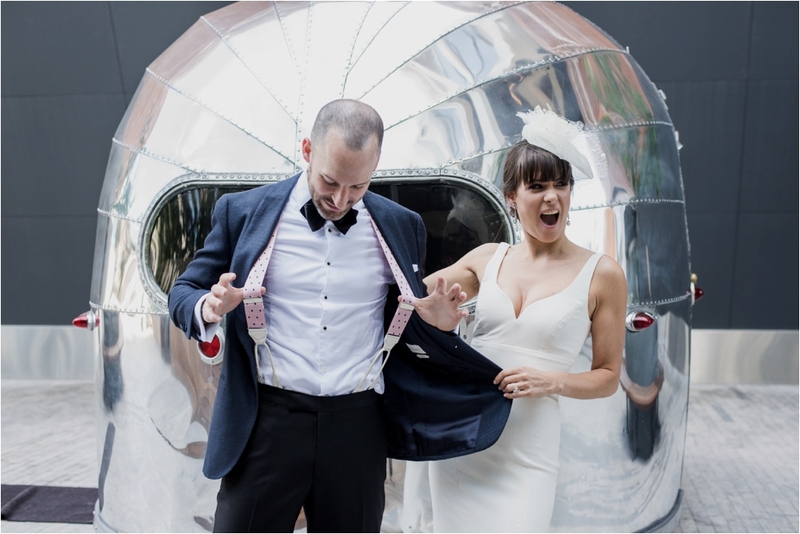 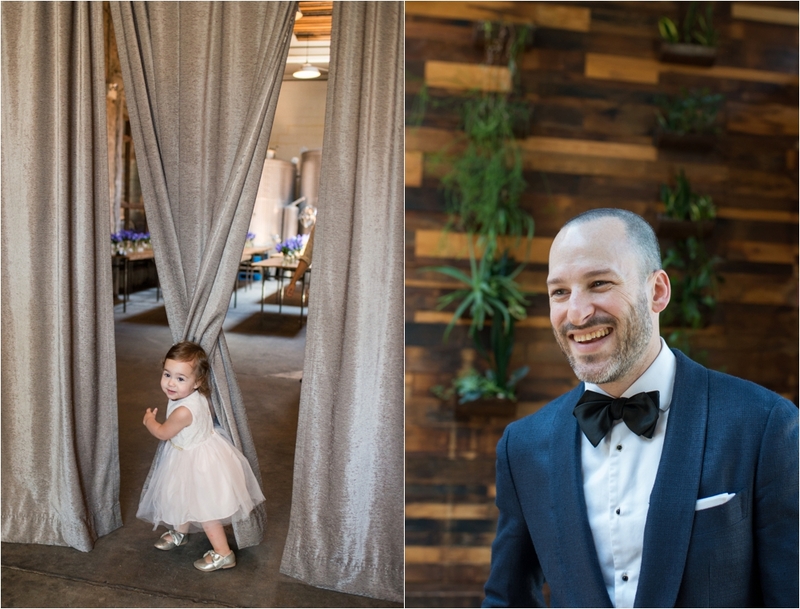 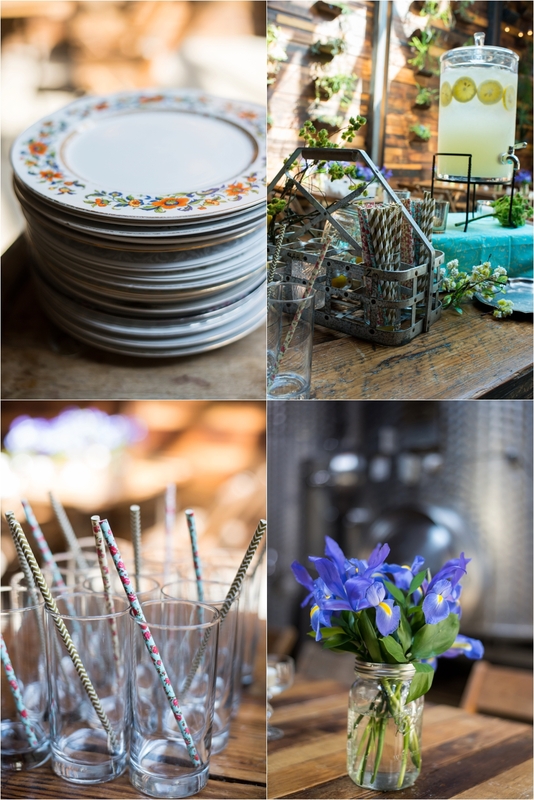 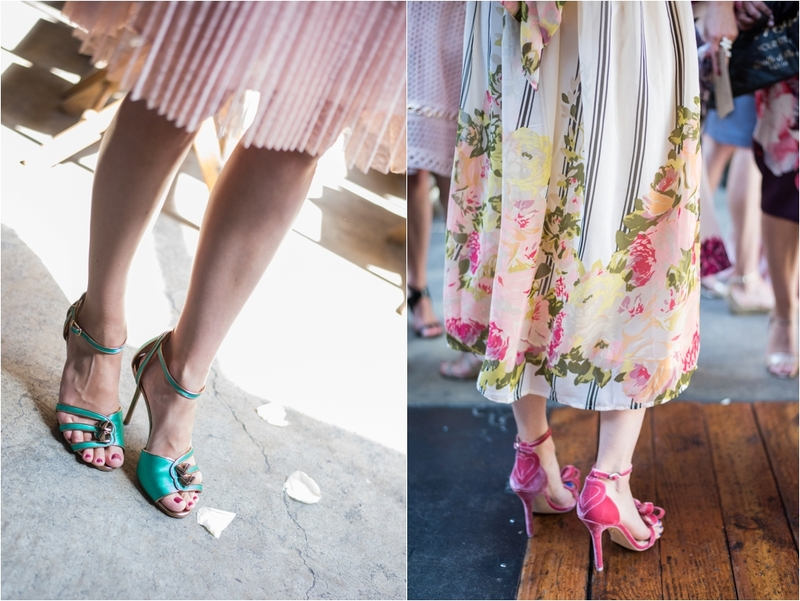 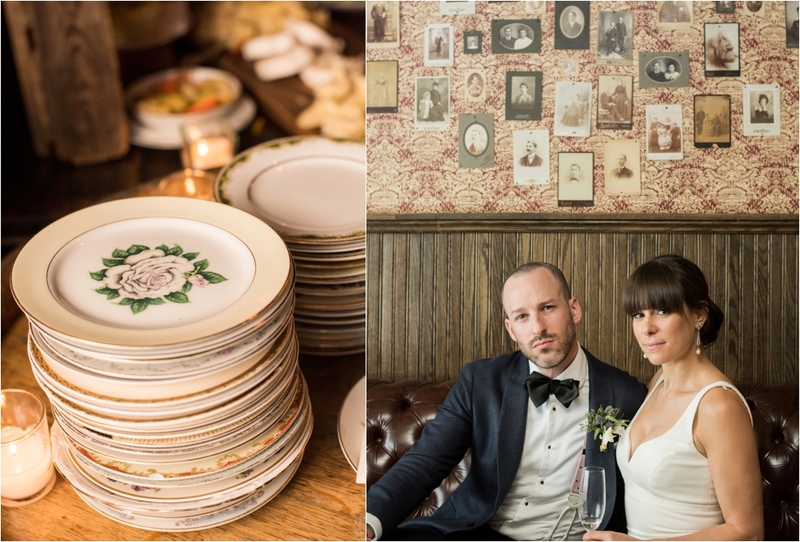 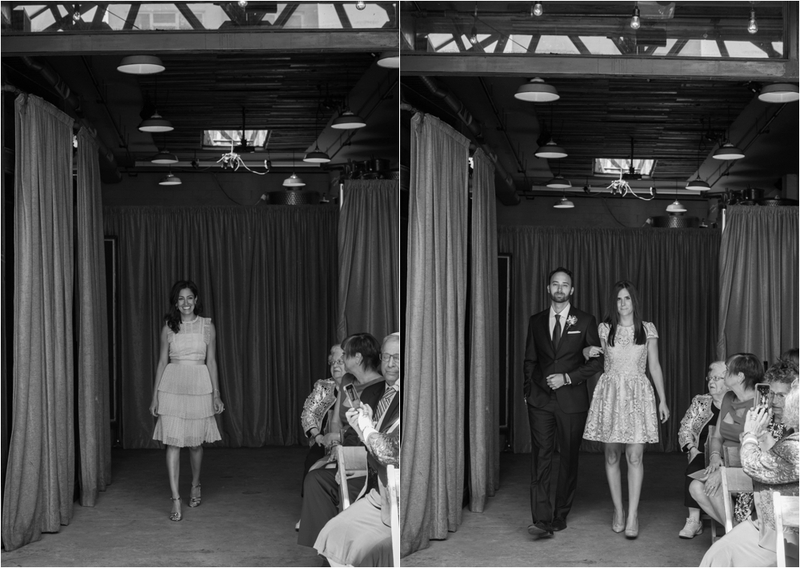 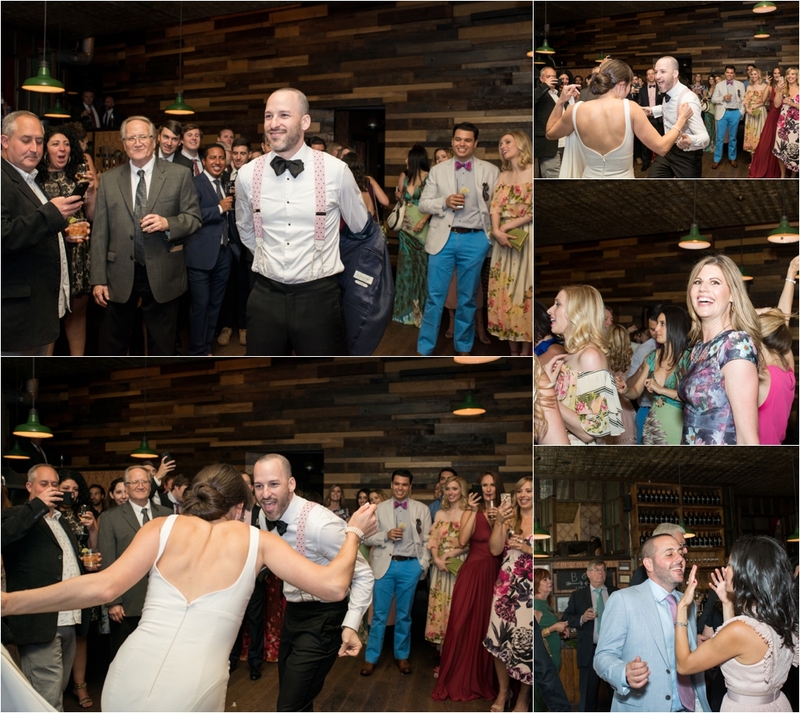 The funky, eclectic vibe of the venue perfectly matched their personalities. 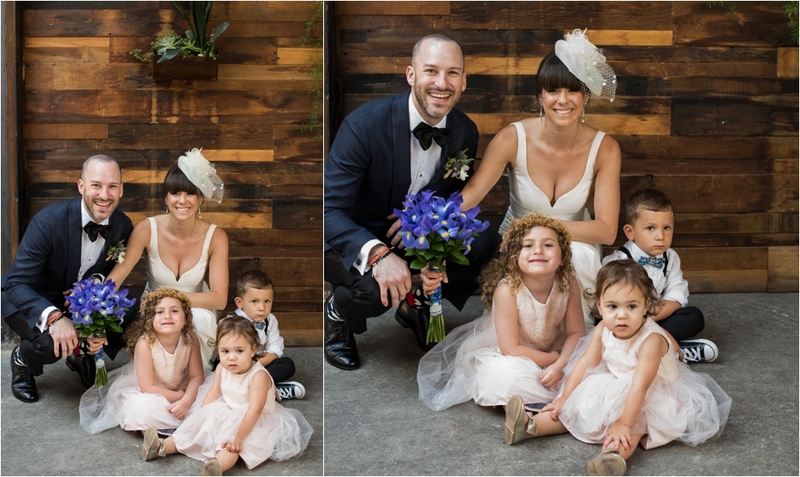 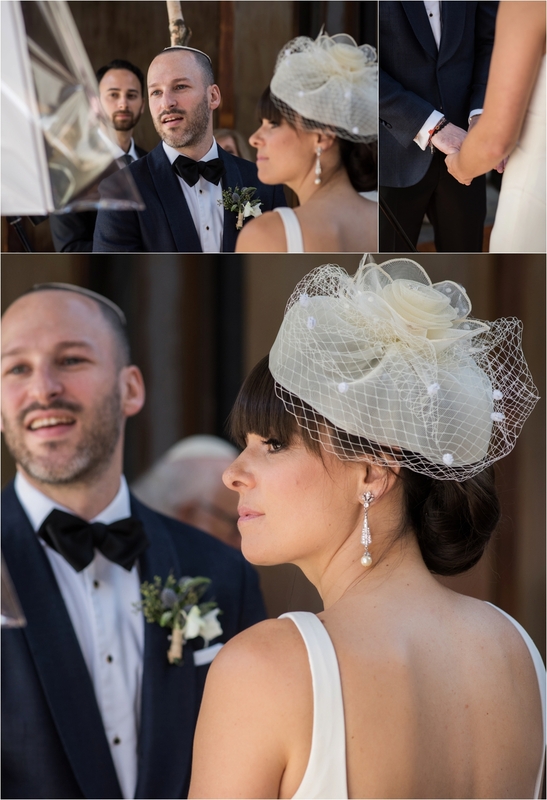 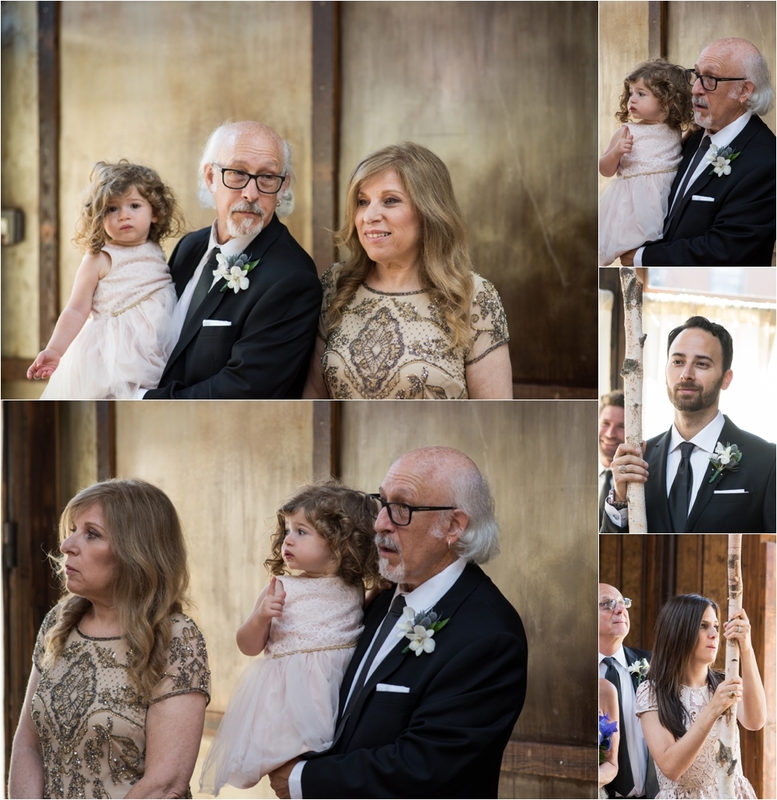 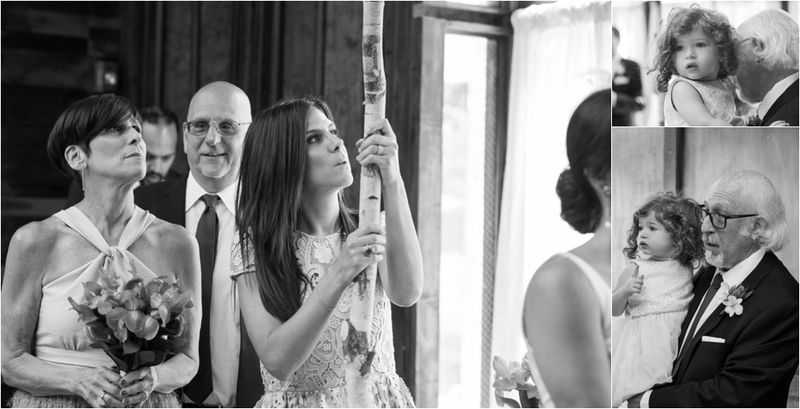 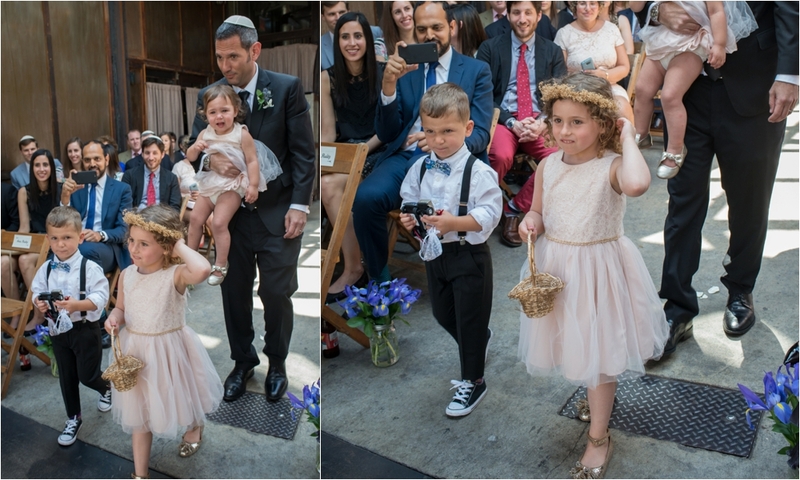 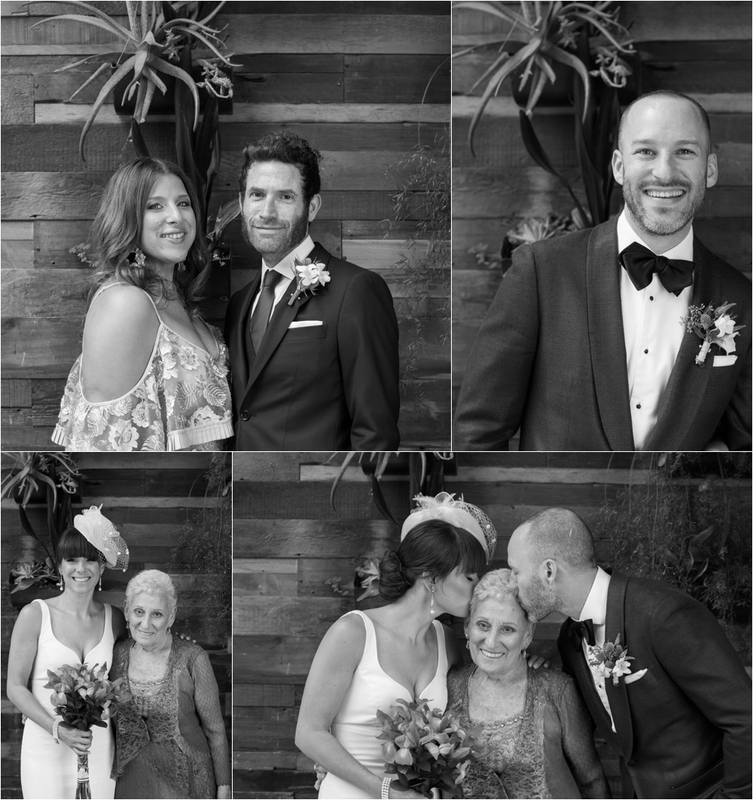 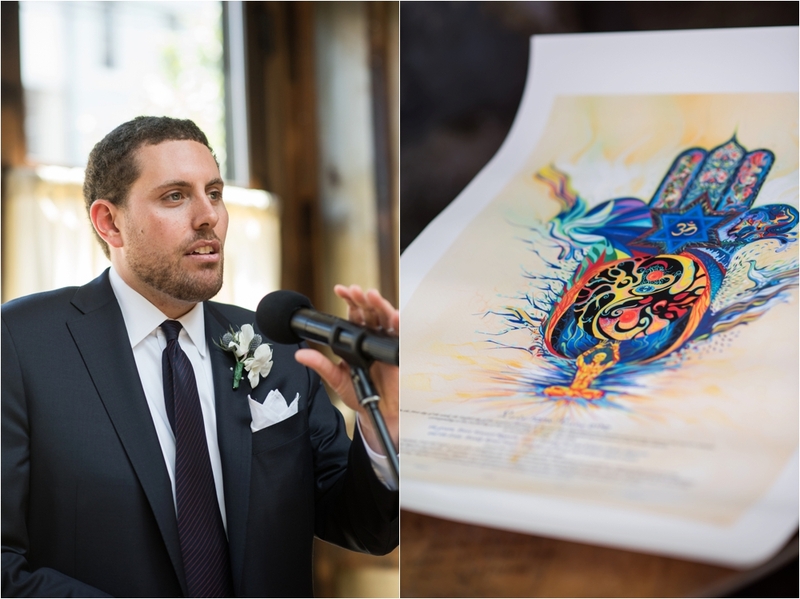 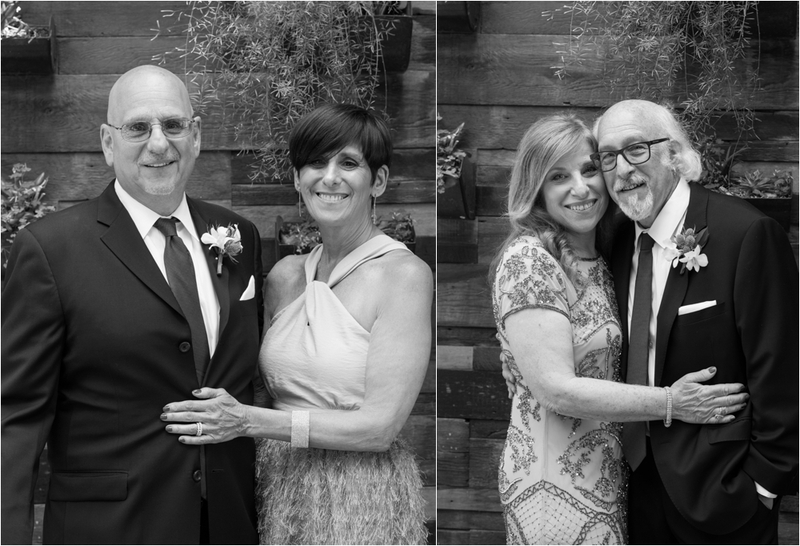 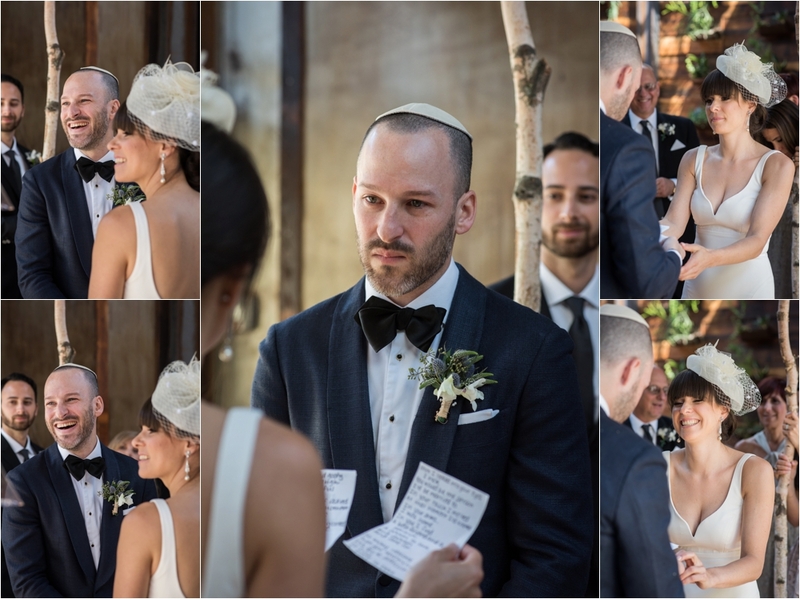 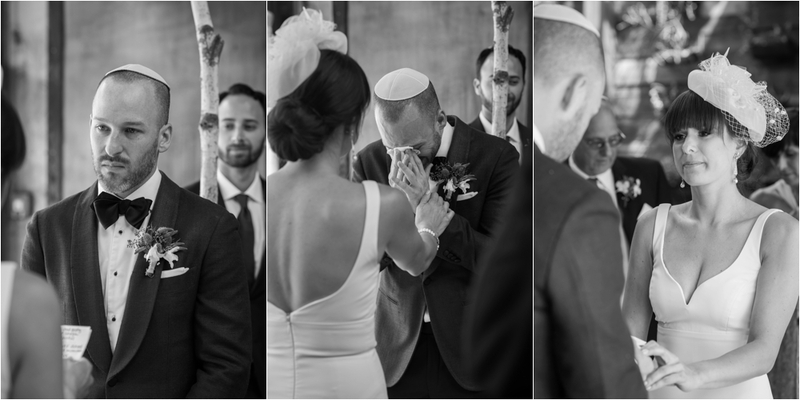 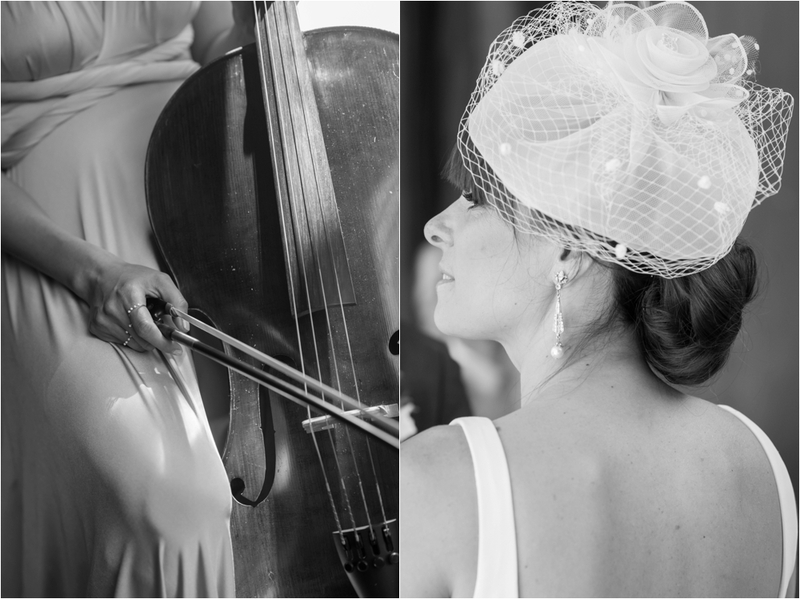 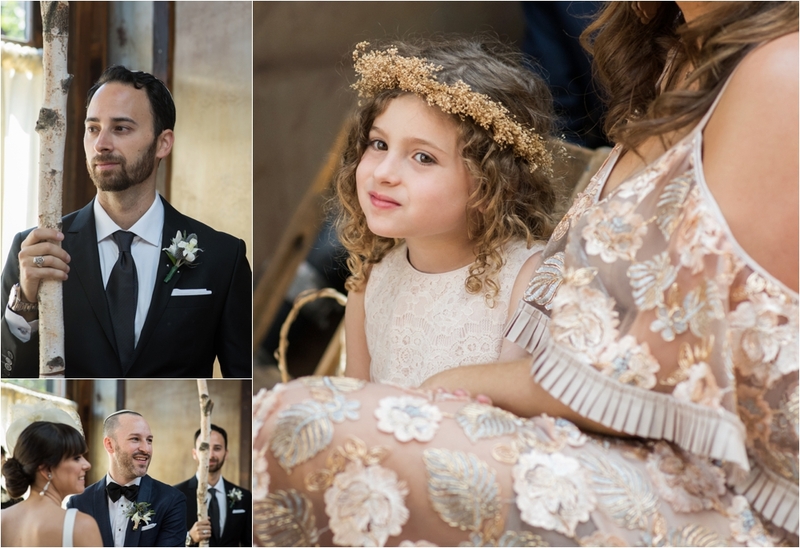 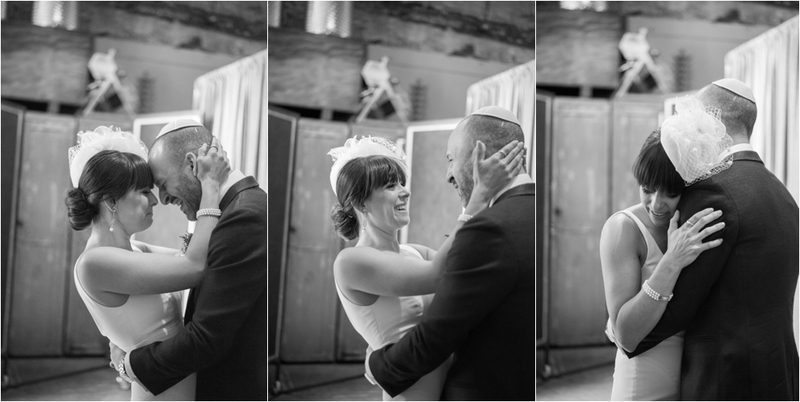 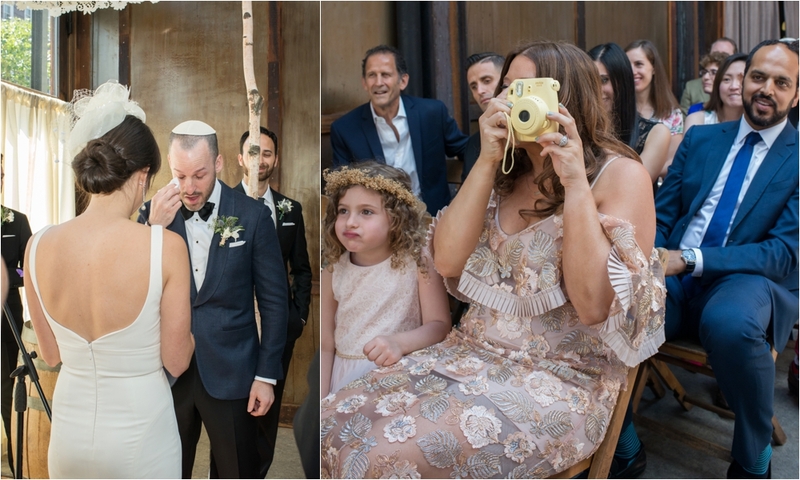 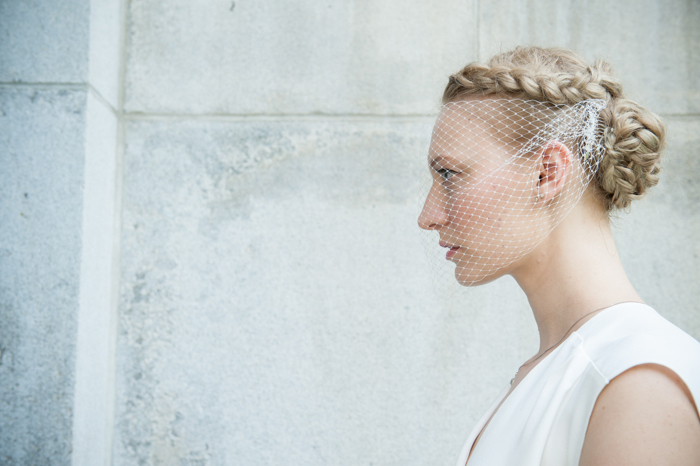 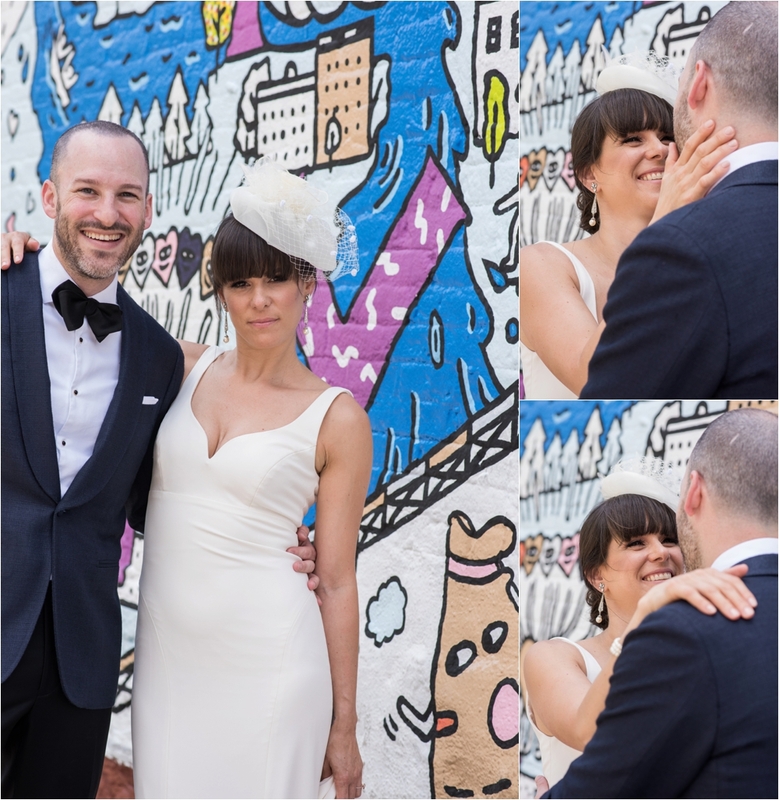 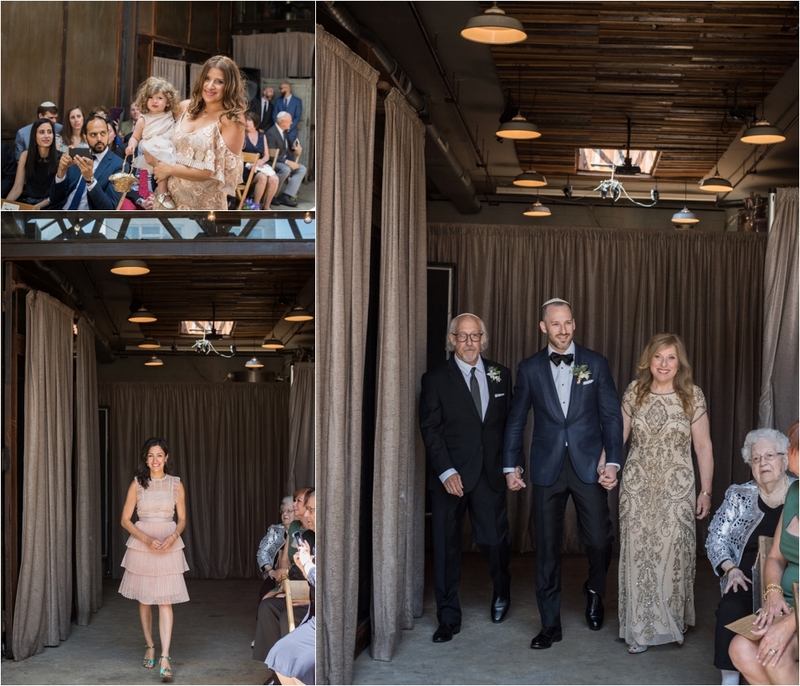 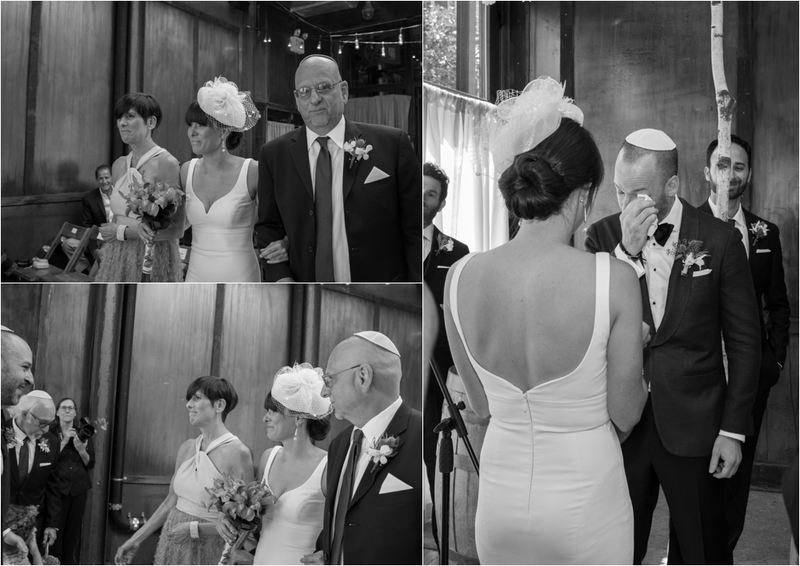 The day was intimate and personal, from the homemade Chuppah to their handwritten vows. 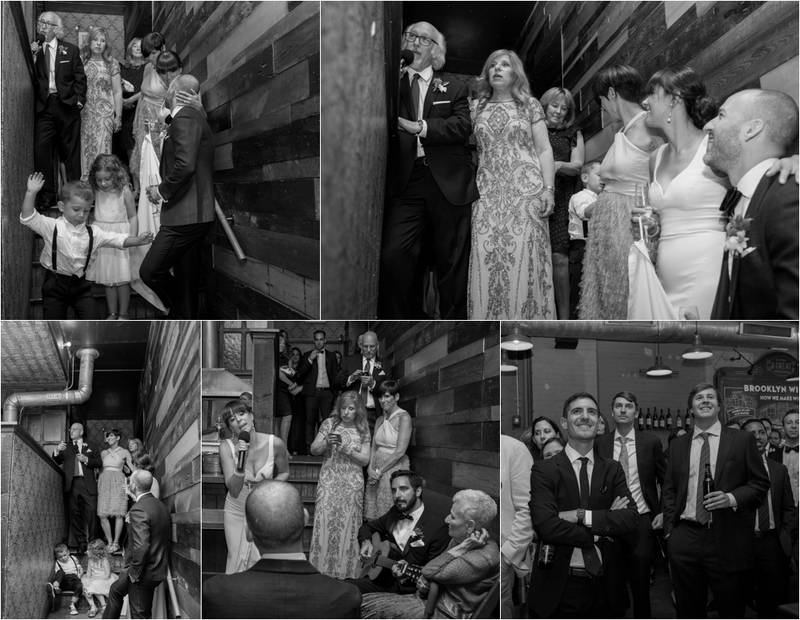 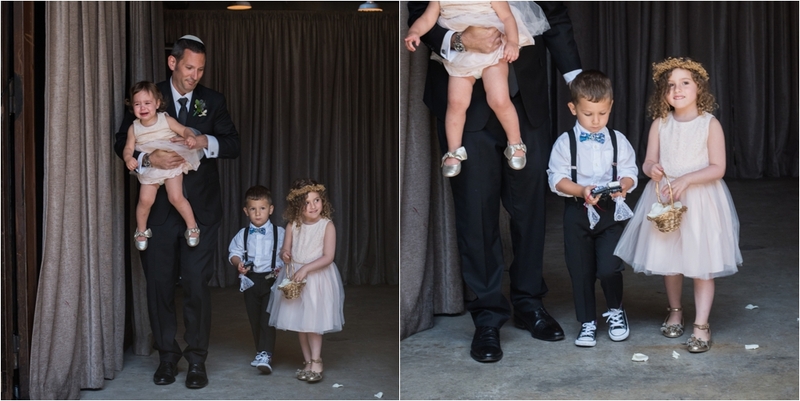 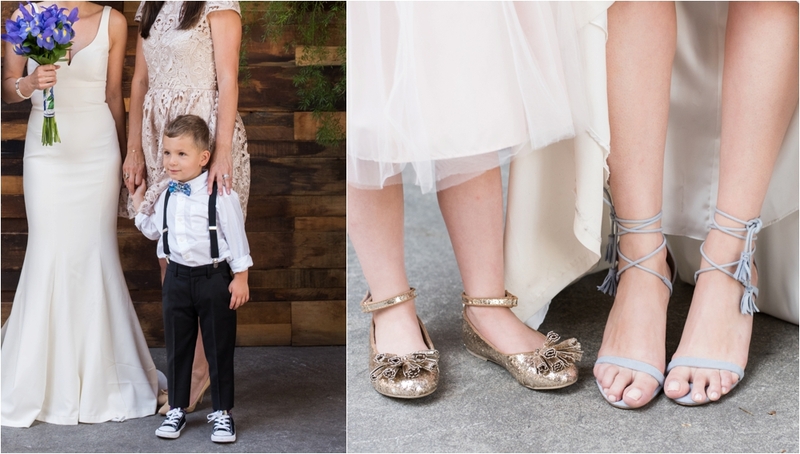 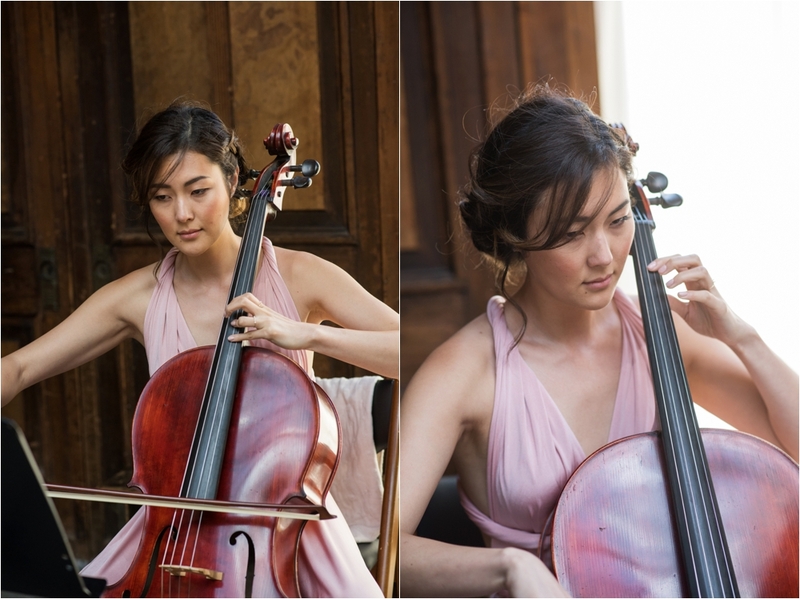 They had the wedding and party they wanted…a day that would be memorable and fun for all the people they love. 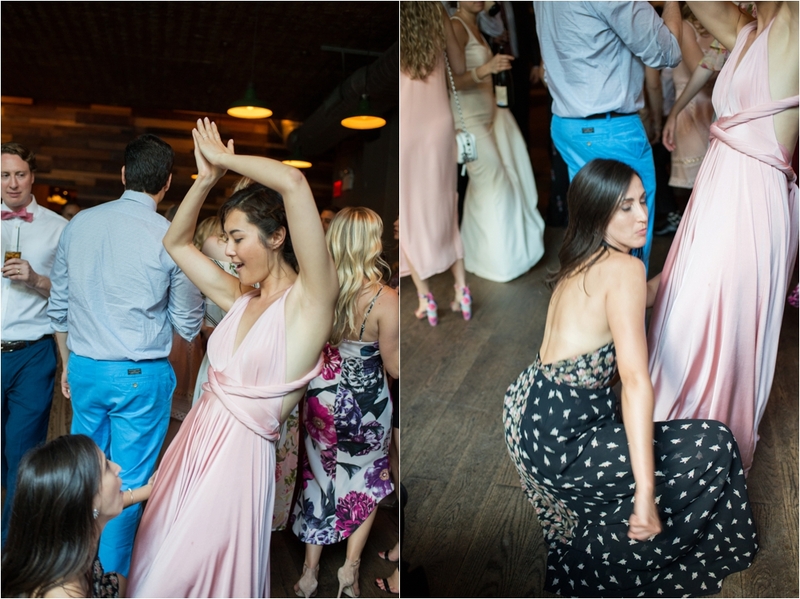 And that DJ was a-mazing.